Again, my apologies for being late writing. I’ve been busy on the copywriting side. Nothing big to report yet, but I’m getting there. Two weeks ago I went to a conference for audio-visual people sponsored by Whitlock. I went to the JW Marriott in the Galleria, and had a great time talking to people, handing out my business cards, and. . .eating. No kidding. When I walked in, I was greeted by decaf Starbucks coffee; I didn’t see the bagels, but that’s OK. In addition to winning a $5 gift card from Starbucks, I was also gifted a few other times, including an Italian lunch buffet at the Marriott! Unfortunately, I didn’t take any pictures because I was too busy talking to people. 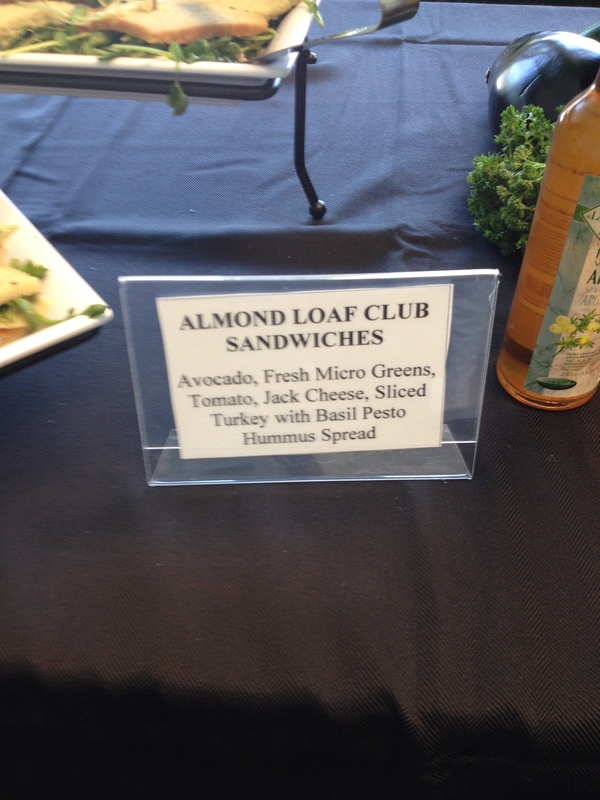 Like the Marriott in Delray Beach, Florida, everything was delicious (and I forgot about “gluten free” that day.) I will tell you that the Tiramisu in shot glasses was quite the tasty treat. . .both of them. This week is another conference that’s three days long. Don’t know if I can hold up for three days of it, but we’ll see. 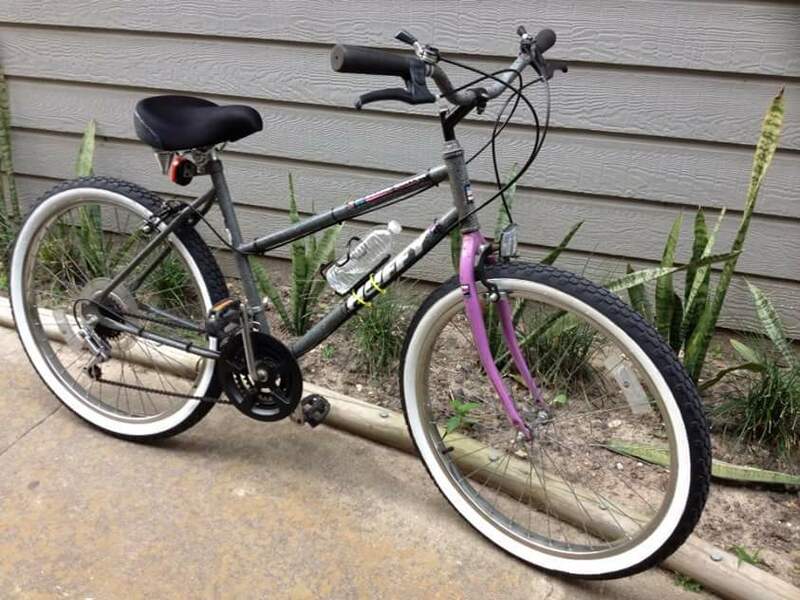 Now, admittedly, it’s not actually new–it’s a 22-year-old Huffy that was newly refurbished. I took it to Bay Area Cycling about a month ago and asked for new tires, brake pads, and a “tune-up.” Runs like a top, and I’ve been riding it nearly every evening, except when we were under a typhoon warning. Walking hurt like the dickens, and I get a little stiffness from riding 10 or more miles a day, but not the kind I got walking. I just had to quit, and I hated doing that. But I’m absolutely loving the bike–I forgot how enjoyable a bike ride is. We got some heavy rain, but 2 weeks before the rain that made the national news. We’re still dealing with the aftermath of flooding. . .but nearly every evening, I’ve hopped up on my ride and gone for 10 to 14 mile rides. Neighbor K does the competitive kind of riding, whereas I just enjoy the ride and the exercise. (Translation: her sport-grade bike cost a lot more than mine, even with the tune up.) Last weekend, she told me about an app for my phone called Road ID, and had me put it on my phone. Neat little item, but the biggest reason is safety. We’re connected on this app, so that when I go out riding, I activate it, K gets a text and she can see exactly where I am and where I’m going. If I stop for more than five minutes, she gets an alert and my phone screams at me. If that happens, she’ll text or call. Sunday’s Wal-Mart excursion found a perfect little bike bag that sits on the middle bar and has a clear top that holds the phone, so I can see how far I’ve gone, how much time has elapsed, and the “off” button. Neighbor R, my eighty-something neighbor on the other side, was also glad to hear about us getting the app and connecting on it. So far, we haven’t had anything bad happen, but if one of us is out and needs help, the other can find and get help if needed. It also gives you the option to create an emergency number lock screen picture so that if you can’t get to your phone, someone else can call for you–like a paramedic. Granted, we hope it never happens, but it’s there if needed. Unlike our esteemed 71-yo Secretary of State, we will probably not have the benefit of having a doctor flown in from somewhere else. I’ll probably have to set my own broken leg! Well, anyway. . . . 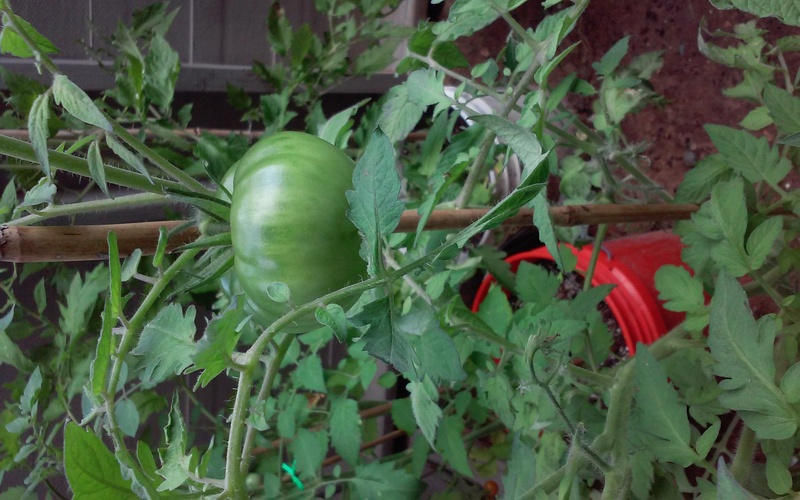 The Cherokee Purple tomato–I can’t wait! 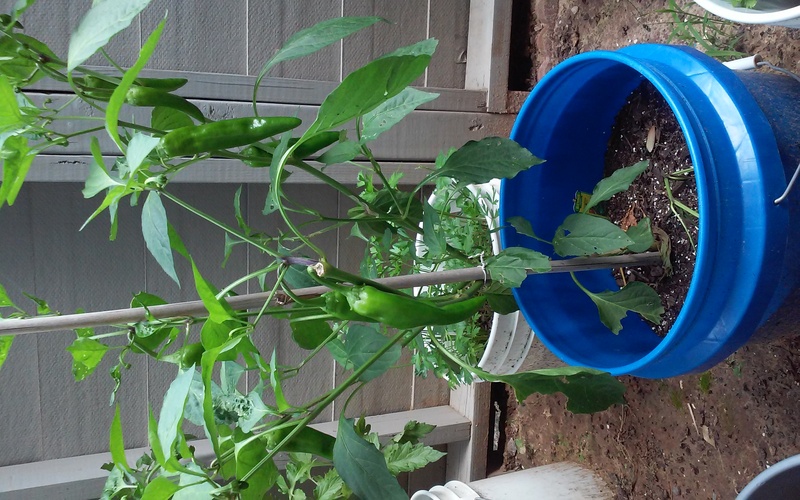 There are 12 peppers in various stages of development on this plant. I’ve never had so many grow before, so I guess I’ll be finding a few more uses for them. 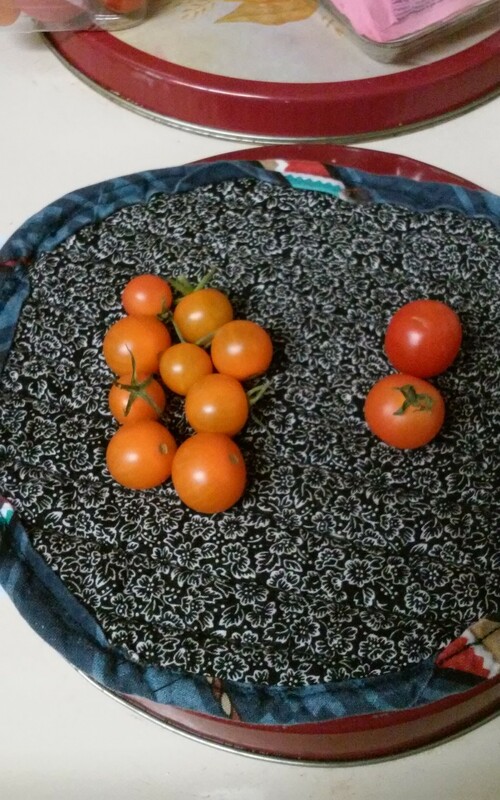 That’s the Chocolate Cherry tomato, which I just ate today. 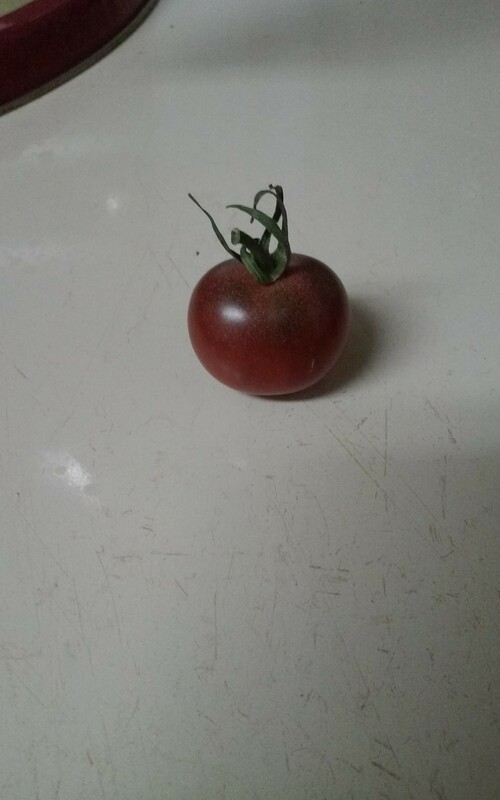 Yes, it was delicious, a very rich tomato, but it did not taste like chocolate. It’s a slow grower, but there are more coming. The Sungold plant, however, is a prolific producer, and the Tiny Tom is producing too. The reds are on the right. That big plant at the top is celery. However, I have had problems with the inconsiderate animals who treat my little urban garden is their personal salad bar. But I fixed them. I bought a Nite Guard, and have it flashing outside at night. Designed for farms and ranches, it flashes a little red light that scares the bejeezus out of possums. Yes, it’s possums–because cats don’t dig up lettuce. Our little condo complex is apparently a possum sanctuary and breeding ground, because they get as big as cats. Bigger, in fact. Possums aren’t vicious unless attacked, and don’t carry rabies, but they’ll stand their ground and get into anything. EWWW. 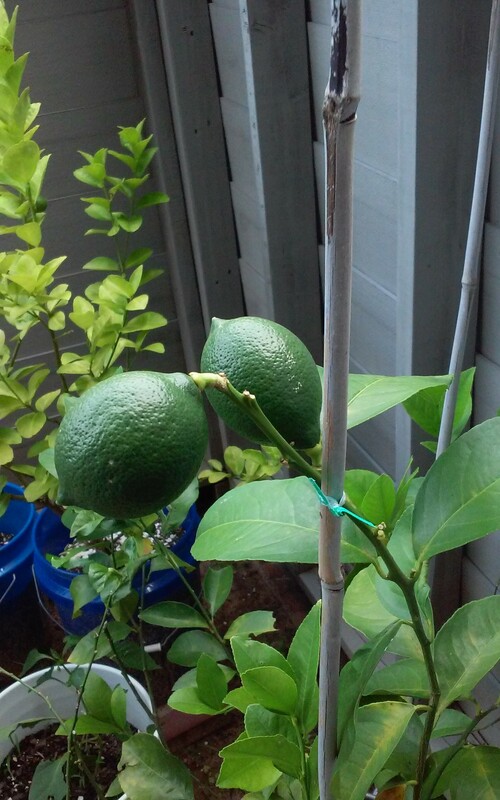 And the two remaining Meyer Lemons are doing well, as are the two key limes on the plant behind the lemons. No idea why, I just harvest them when they’re ready. So, Saturday I headed to LK’s house for our district Buddhist chanting session we have, and after another attendant left, we got to talking about all kinds of things, but usually food. While not a food blogger, LK is a definite foodie, and worked for Williams-Sonoma until January when they closed the store in Baybrook Mall. LK has some nicer stuff than I have, like a Vita-Mix, since she had that lovely employee discount. But I’m not jealous. . .not REALLY. . . . In all seriousness, we really do have many of the same cookbooks, particularly Martha Stewart and the Everyday Food books, although LK leans toward the vegetarian side and eat meat occasionally. We talk a lot about foodie things, cause we love it. We compare notes, and when one of us is seeking, the other brings. Let me tell you what I mean by that. Now, after I got the bike tuned up, I did something awful: I hopped on my bathroom scale. Oh, boy–but I knew it wasn’t going to be good. Well. . .it hurts, so I’ve got to start working that number down. Otherwise, I’ll be walking with a cane or a frame until it’s time for knee replacements! No thanks. I went back to LoseIt.com and downloaded the app to my tablet. (You can also add it to your smartphone.) I added in my (ugh) weight as a baseline and have been recording everything, including the bike rides. Nothing fantastic to report yet, but, as always, I’m working on it. If all goes well, I could be wearing a bikini by October. Laugh if you want, but October in Texas, it’s not unlikely–the real chill generally comes about November. We’re good with it. I also mentioned my love for the bike to LK. Made me feel good when she said, “that was money well spent.” Well, it was. So Saturday I tell LK about all this, and she mentions the book Clean Slate. HUH? I forgot about this one–from the editors of Martha Stewart Living. Published in mid-December, it’s a book for detoxing and rejuvenation and. . .well, clean food. That is not to say gluten free, although many recipes are; but there are many with whole wheat, too. I looked through it a couple of times when it came out, but when I saw two or three recipes with tofu, I put it back. Then LK starts showing me a recipe that is wonderful for after the bike rides: Bell Pepper, Yogurt and Harissa Soup on page 164. It’s COLD, y’all! I needed tissue anyway, so the Target trip turned into a grocery trip. After the Scott tissue, I picked up the book and thumbed through it while I shopped. Later in the day, Neighbor K came over to show me the app to put on my phone. I showed her the book, then she saw all the smoothie drinks. Now K is interested in this book, too. The soup was really simple: three bell peppers, chopped, 2 cups of yogurt (I used Greek, I like it better) and a spice called Harissa. LK had some, she found it in town. 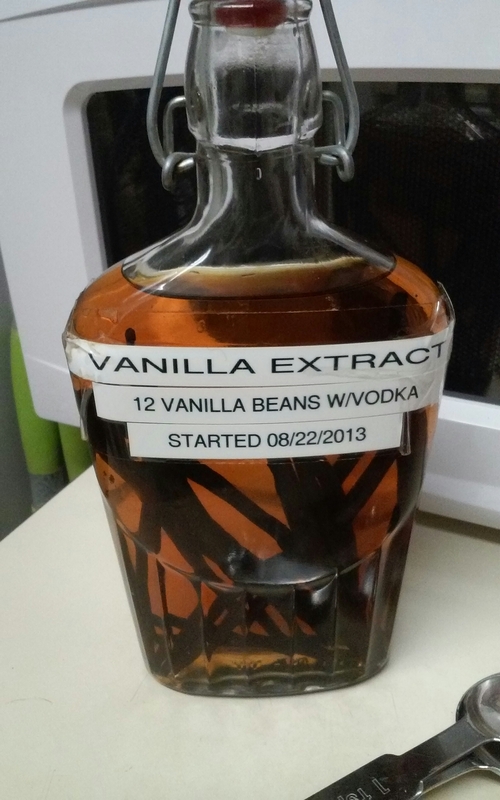 Well. . .I couldn’t find it locally, but there’s a recipe. Guess what? I didn’t have all the ingredients to make it–heck with it, I grabbed something called Garam Masala, which is used in Indian cooking, and tossed that in. Maybe it doesn’t taste the way the recipe intended, but it sure is GOOD. I’ll get the Harissa (or ingredients) one day soon and whip some up. Next thing I want to try is the Pureed Cauliflower Soup on page 152. Three ingredients. . .cook, blitz with a hand-held blender, and serve hot. I can’t wait. In the smoothie department, there are lots of things to drink that are rehydrating, refreshing, detoxing, all that. 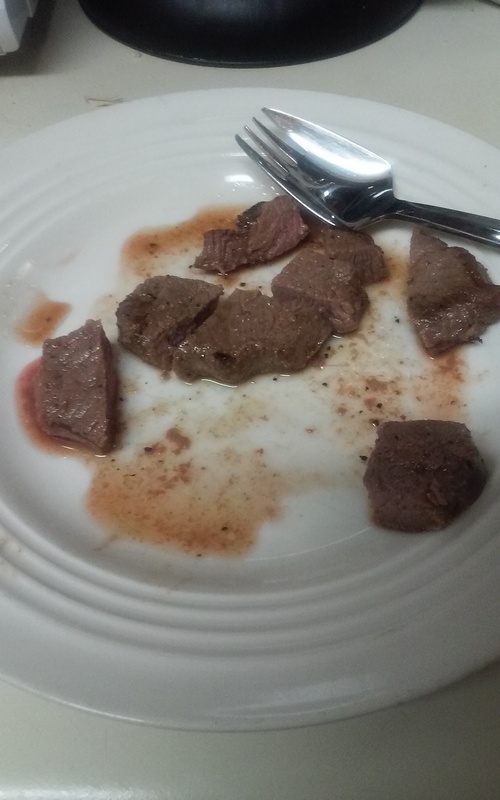 (A couple have tofu and beets–yuck!) When I got home, the first one I made was from the desserts chapter, the Almond-Cinnamon Frappe on page 312. 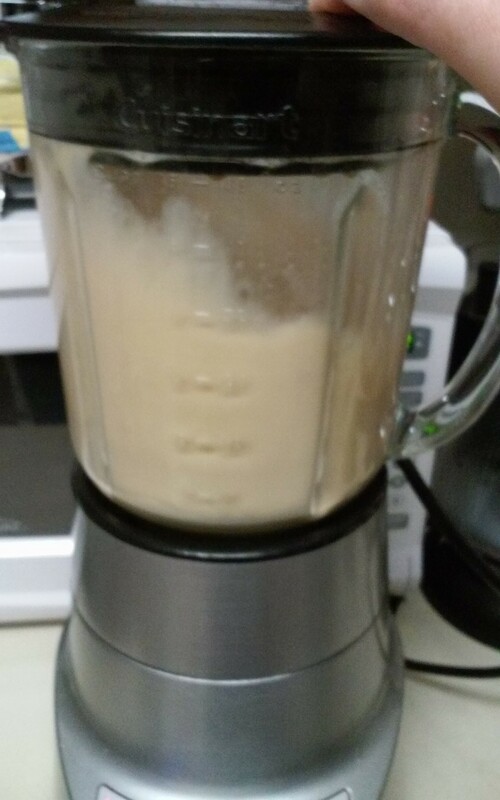 Toss into a blender 2 tablespoons of almond butter (there’s a recipe, but I bought Justin’s), 1 cup of almond milk (again, preferably homemade, but I have Almond Breeze on hand), 1 tablespoon honey (from Texas, of course) and a quarter teaspoon of ground cinnamon. I poured it over ice, then called LK to tell her what I was drinking. YUM. Yes, the Frappuccinos from Starbucks are delicious. In addition to being very expensive, they’re also very high in sugar and other things. . .while this frappe is 327 calories, it fewer, healthier ingredients. When I record these things in LoseIt, it’s all there. I can create a new recipe, add the ingredients all in, and it tells me how many calories per serving; this is helpful when the recipe makes more than one serving. I’ll be having that more often, but maybe not as much as iced coffee. Sometimes the calorie counts are a bit off, but that’s OK. LoseIt doesn’t tell you what to eat or not, it’s a calorie and exercise counter. K has a similar one, but I’ve used this one off and on for a couple of years–first on my home laptop, now on mobile devices. The next drink I tried was the Grapefruit, Carrot and Ginger drink. You need a juicer for it, which I don’t have, so the blender had to suffice. Well. . .it was chunky. And a bit weird, especially with the potent ginger in it. You know what I always say. . .two packets of Sweet & Low will kill the taste of anything! That one is on page 111; if you really, really like carrots and have a juicer, go for it. This afternoon I also whipped up a Blueberry Yogurt smoothie, (page 114) which included a little orange juice, and unsweetened almond milk. Not bad! Guess I need to get more blueberries; the ones I used today were some from the last time the GER went berry-picking and gave me some. I made some ice cream last summer with some of them. I’m particularly interested in the grapefruit recipes since I have so many of them after buying them for the Butsudan and forgetting to eat them. 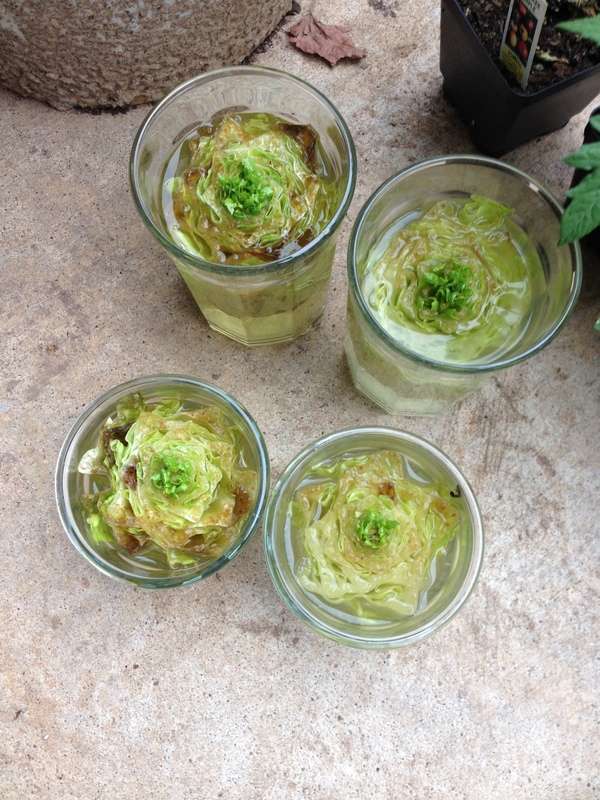 Turns out I can make some nice juicy drinks with them, and they’re detoxifying, too. (Not sure about that carrot drink, but if you like it, go for it.) There is also one on page 112 called Coconut Cherry Smoothie, with 2 cups frozen pitted cherries (my favorite!!! ), 1 cup coconut water and a tablespoon of lime juice. That serves two, but you can make one at a time, too. I’ve never bought or tasted coconut water. Ever. So if I do indulge, it’ll be a first. I have looked through the recipes and found a number that I want to try soon, just because they look tasty. I hope to cook my way through most of this book, sans the ones with tofu, edamame and any other form of soy I find. Coconut oil is something that plays a part in this book, so that made me happy, too. Oh, LK also says we have a new Sprouts store in town. . .I’ll check that out when I can. Meantime, be healthy and happy, and have some healthy, delicious food, whatever you like the best. Happy Monday! I hope everyone had a great weekend. 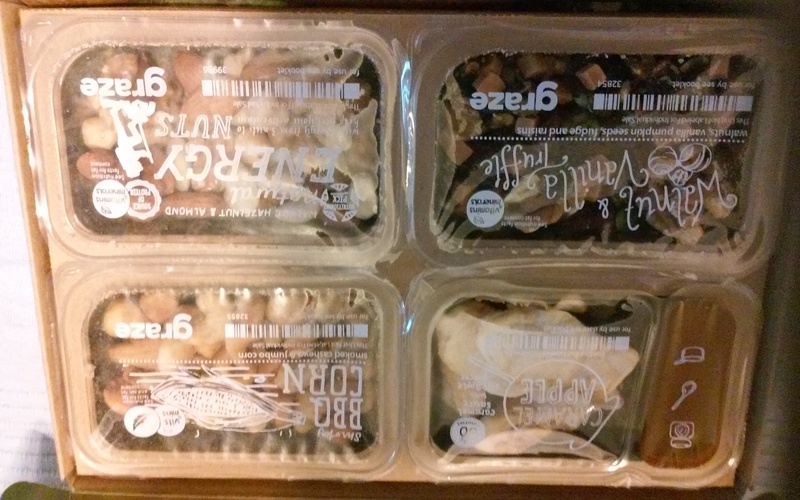 It arrived Saturday, primarily because I did not go into their website and postpone the next delivery. Oh, well. What’s inside? The Walnut-Vanilla Truffle was the first one I had–yesterday after doing some work in the garden. Today I had the Caramel Apple; and I’m quite sure it’s a repeat appearance. I’ll have the savory ones later. 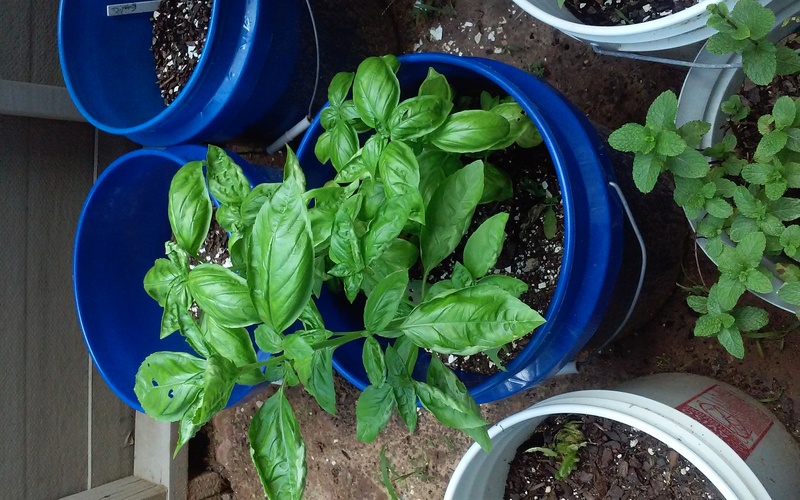 Those are basil seeds–cross your fingers. 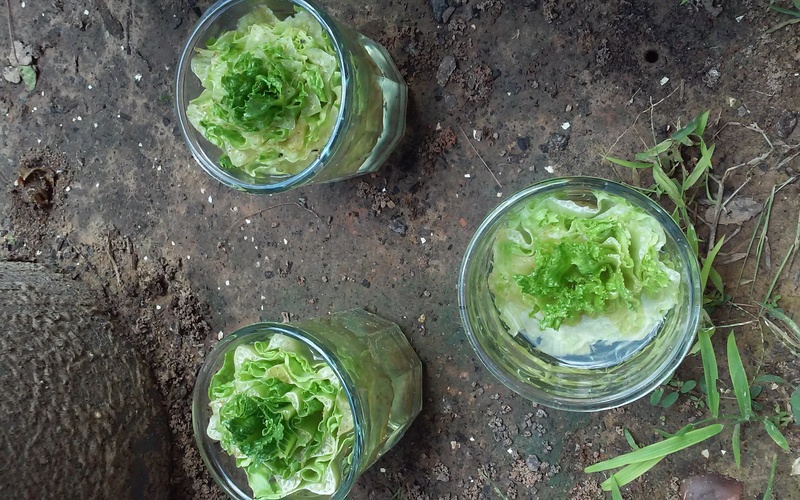 I have planted the lettuce and celery scraps into pots. 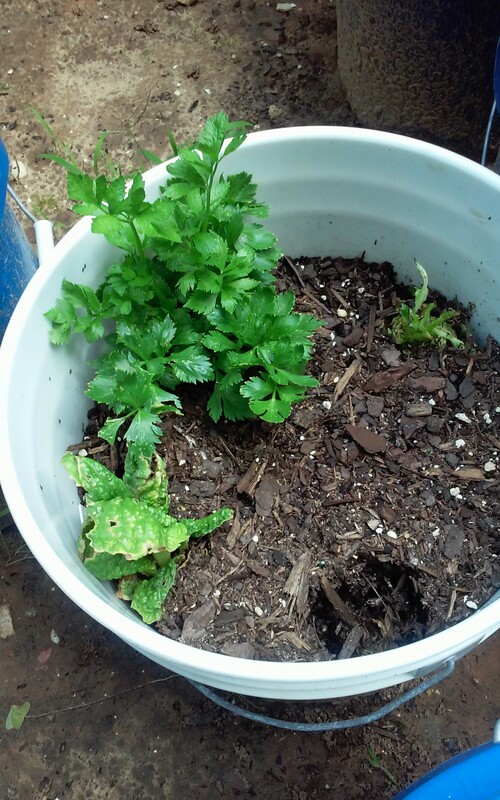 The celery had started to root a little, which is why I planted it, but the lettuce, as you saw, had greens growing from the center. 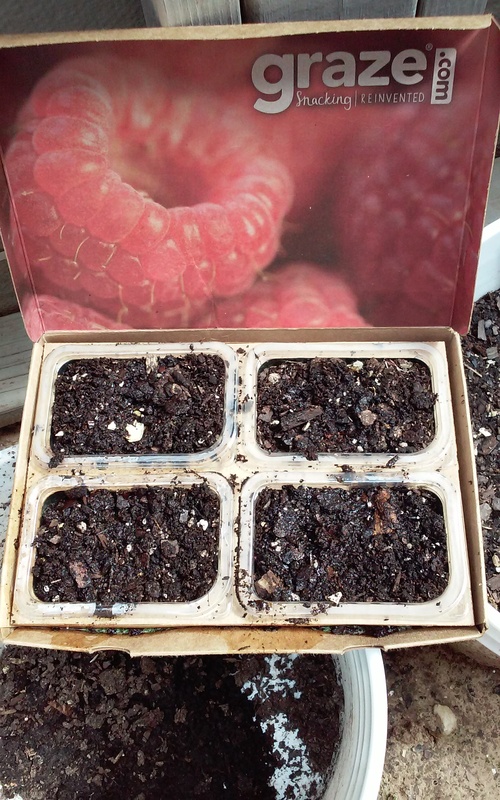 Only one of the four romaine stubs is poking through the soil, and I’ll show you that when it’s more visible. But it’s happening, and I am thrilled that I will be able to enjoy romaine lettuce more often. 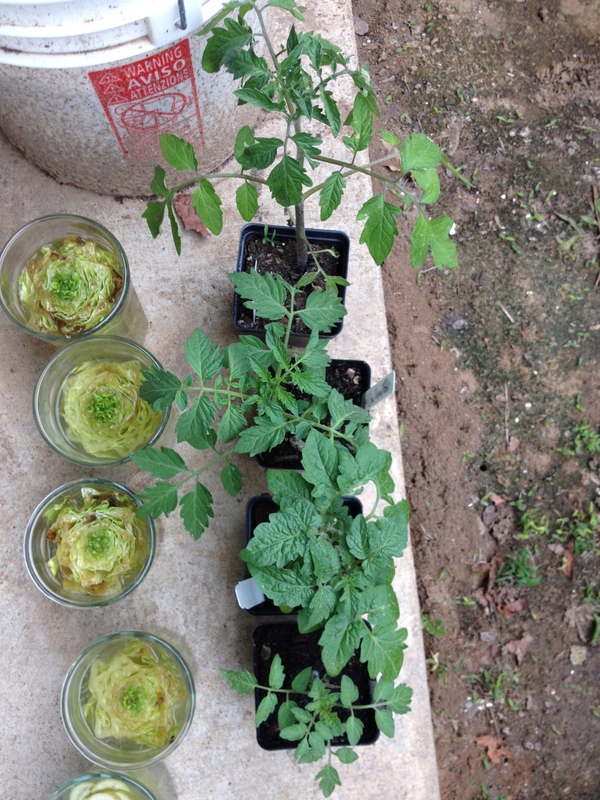 Now to get the tomatoes growing. 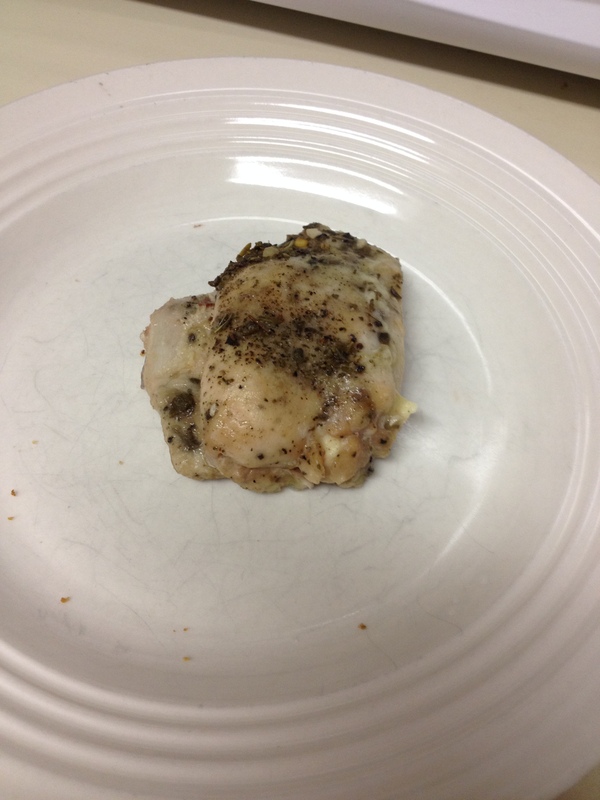 Now. . .over the weekend in the HeatCageKitchen, I conducted another experiment. 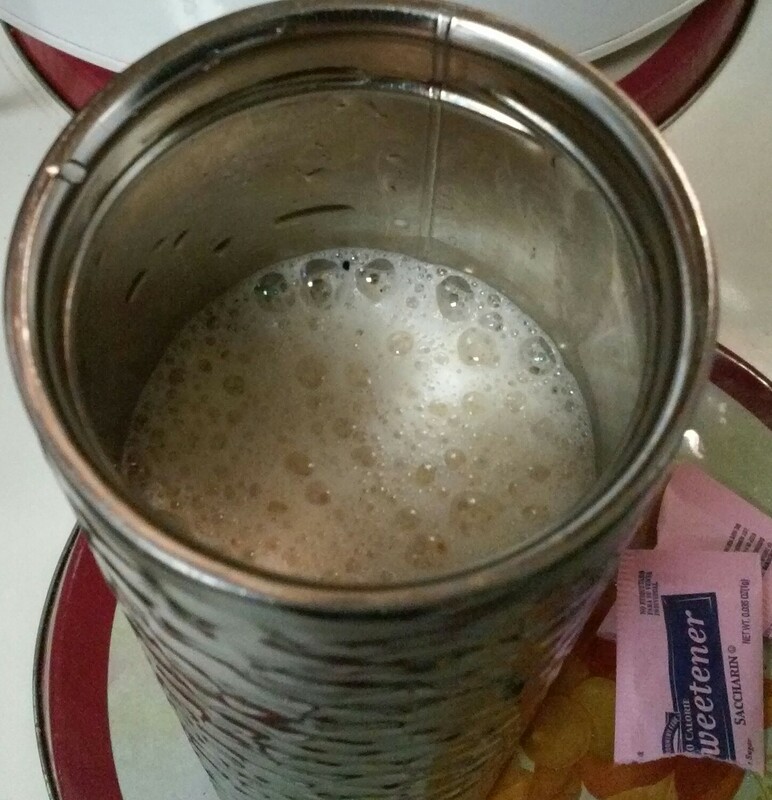 This time, I attempted the newly-popular home-made version of Bulletproof Coffee. With coffee from Starbucks. If you’ve not heard of Bulletproof coffee, well. . .I first heard about it in the Wall Street Journal a couple of years ago, called “butter coffee.” Then a number of my writer friends on Facebook started buying it and proclaiming to the heavens that it was the best thing ever. Nick Usborne at Coffee Detective tried it. . .he was not impressed. Then on May 20th, Ree Drummond, The Pioneer Woman posted that she was introduced to the concept. Ree loves it. So I figured it was time for me to try it. And I was in The Fresh Market at the right time, too. Many of my writer friends are *into* this, and insist that it makes them feel better, think better, and just zip around the place all day long. I say it’s the extra caffeine, which has its own issues, but they insist it’s not. 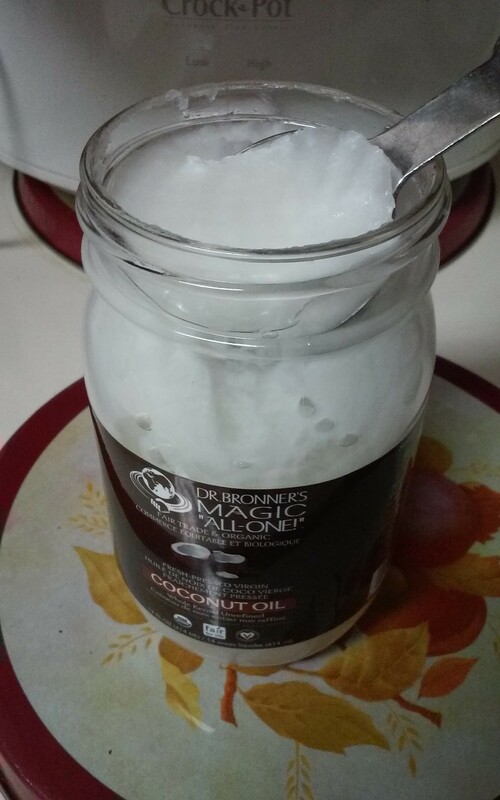 They buy the coffee and “brain oil” off the website, whereas I only used coconut oil. Since I drink decaf, well, buying that expensive coffee is probably not going to do anything different. But I digress. Maybe the “brain oil” would be a good thing. That’s for another day. I was feeling good yesterday because I finally got around to ordering a replacement lid and knobs for my 10-year-old Crock Pots. Yes, more karma of spare parts. . .but if they still work, fix them! Ohhh. . .I just thought of how funny it would be to see the GER’s face if he ever tried it. He would give me that look. . .well, that he frequently gives me. 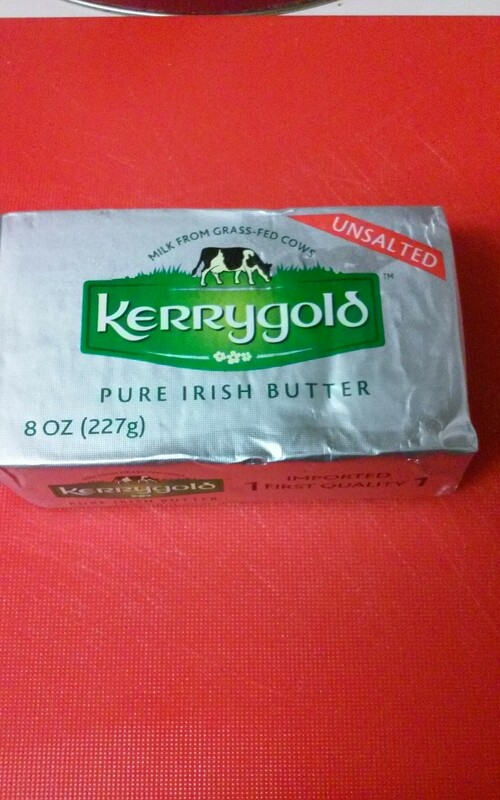 Anyway. . . .
A key ingredient, and one of the few imports from Ireland without alcohol. Unrefined coconut oil. Yes, the kind that tastes like coconuts. It is not “Magic,” however. First, make your coffee as you normally would. In my case, I use the French Press. You’ll need between 8 and 12 ounces of hot coffee. I really was planning to drink it at home. 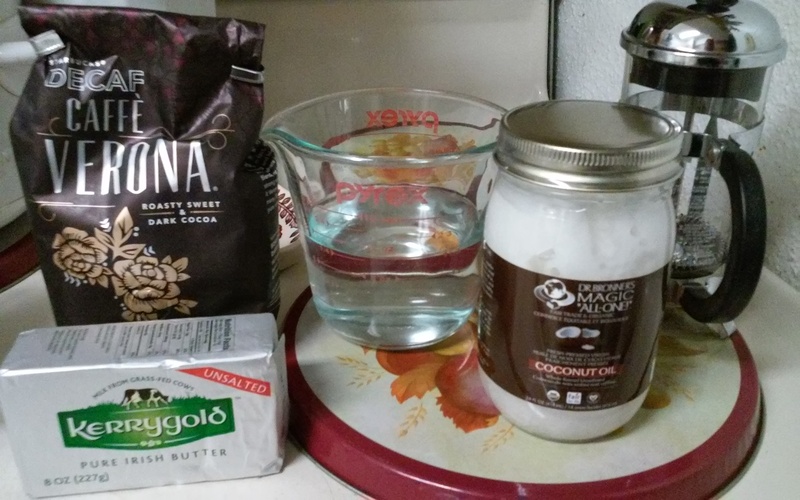 The hot coffee melts the butter and coconut oil, and the blender emulsifies and froths up the whole thing. Melted butter is just like putting milk in your coffee, and the coconut gives it a sweet taste. But not quite sweet enough for me. Safety tip: DO NOT use one of those little blenders intended for smoothies. 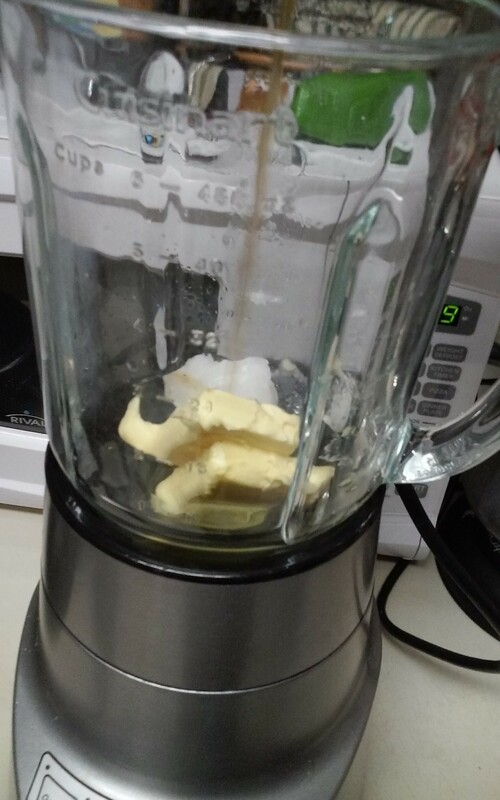 Make SURE your blender can handle hot liquids. Some can’t. I do know this one can, because the jar is glass and there is a removable part at the top. I use this blender for Pea Pesto Soup, and it was indeed made for anything. Even though this coffee was less volume than the soup, it’s still hot, and you must make sure your equipment is up to the job. If you have a Vitamix, or other professional-grade blender, you should be OK. But those little hand-held blenders, probably not. Read the instructions and check the appliance itself before you find yourself with a big, burning mess. Anyway. . . . Since I was running out of time, I added it to my travel mug and took it with me. Yes, as a matter of fact, I did put two packets of sweetener in my Bulletproof coffee, darnit. And then, it tasted pretty good. I can’t say it didn’t do me any more good than my regular foamy-milk cappuccino, though. Results will vary, of course. Safety tip #2: after drinking this coffee, you will not be able to outrun, or withstand, a speeding bullet. You are not going to be Superman. You will not actually *be* bulletproof, OK? This is true even if you are buying the expensive coffee and brain oil. It’s a euphemism for FEELING “bulletproof” and being able to take on the day. Carpe Diem and all that. Let the creator tell you more about it. Verdict: not bad, but not every day. If you’re looking for a different cup of coffee, and maybe not something with several words to describe to a barista, you might indeed enjoy Bulletproof coffee. And if you don’t, you can say you tried it. Once. It occurred to me that I haven’t written since Friday the 13th. AAAHH!!! My apologies. I didn’t realize it was that long. I hope everyone had a great Valentine’s Day, and if you were so inclined, a nice time at the world’s largest #Starbucksdate. I did, and I got a lot of reading done. They put a few pictures on Facebook, and I guess they had a “ball” afterwards, because everyone was in formal wear. The doctors were seated in one picture, and my Dr. Davis had her shoes off. It was indeed a long day for them, but a good one. Me and The Good Doctor. See? They do let me in! Now, I have to explain that Dr. Davis likes peacocks the way I like cats and tigers. So, the office is decorated in a peacock theme, and while this iPhone picture doesn’t really show it, Dr. Davis has a peacock feather in her hair. Fabulous, and of course, appropriate. I tell you that for a reason, but I’m getting ahead of myself. Her husband, the friendly and affable Dr. George Davis, is the cosmetic side of the house. 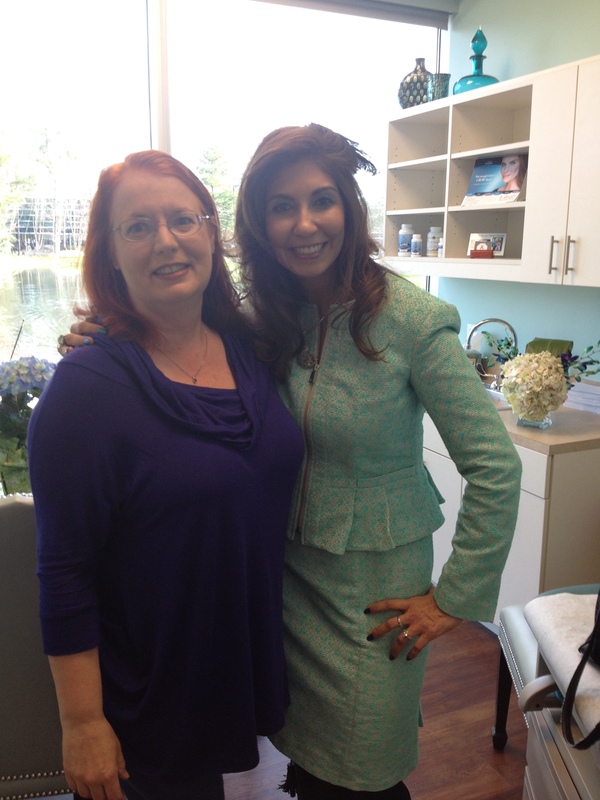 He does the CoolSculpting, Botox, Radiesse, dermal fillers and other cosmetic procedures I learn about when I go to their open house. All the staff will answer any questions you have about any of their procedures, all you have to do is ask. Another product they carry is Jane Iredale makeup. 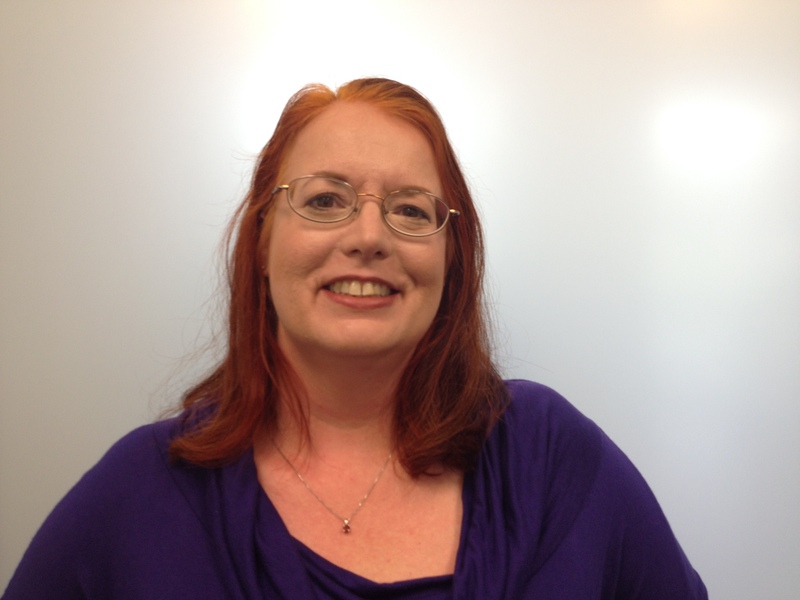 I’m a longtime Avon user, but I did get a lecture from a fellow redhead on the advantages of switching to Jane Iredale. She was very nice, and despite telling them that I still have oily skin, I heard the term “dry patch.” It was just powder I’d put on. I do not need moisturizer!! I don’t doubt that it’s good, and I was offered a makeover using JI makeup. You tell me–did it help? I dunno. . .I think I’m looking like my grandmother with red hair. And I think Maw Maw O’Donnell wouldn’t be thrilled with that, either. If you know anything about this line, it’s more expensive than Avon. Well. . .it was fun, but I’ll have to think about it another day. Honest, that was the first time I’d worn makeup in about a month. When I got home, the eyeliner looked like I’d been caught in the rain. I did tell them, but anyway. . . . When I walked in, one of the very nice staff offered me my choice of coffee, water or a mimosa. Yes, that’s orange juice with champagne, at 10:00 am, and no, I did not. But I asked for decaf, and they had some–in one of those little takeaway boxes from Starbucks. Thank you! 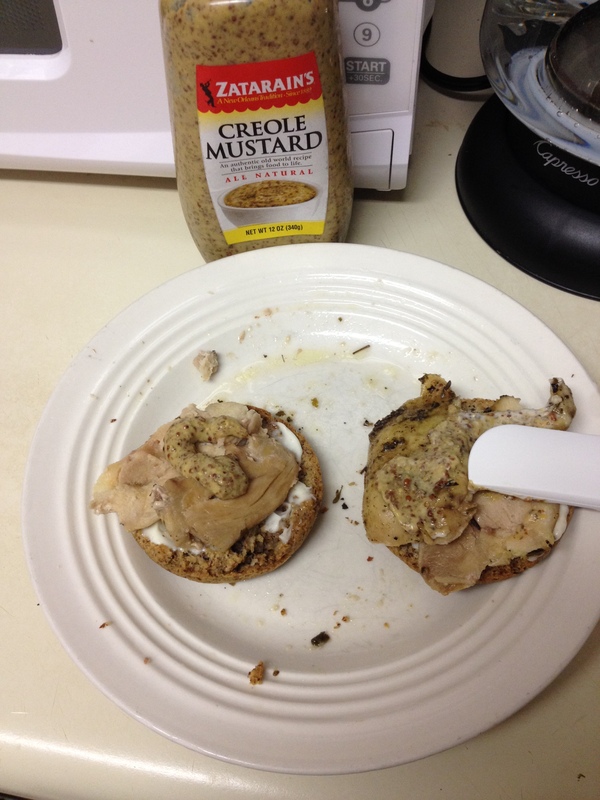 It was very welcomed, warm and tasty, especially with the hazelnut creamer I didn’t realize I picked up. Once you get all your stamps, you drop your card into the raffle box. If you buy supplements, everything was 20% off, and you got an extra ticket, so I got another bottle of the only Vitamin B complex I’ve ever tried that doesn’t make me sick. So I put one ticket in for the Hydrafacials, and one in the box for the Jane Iredale gift basket. If I win. . .well, that’s an excuse to drive back up there, isn’t it? 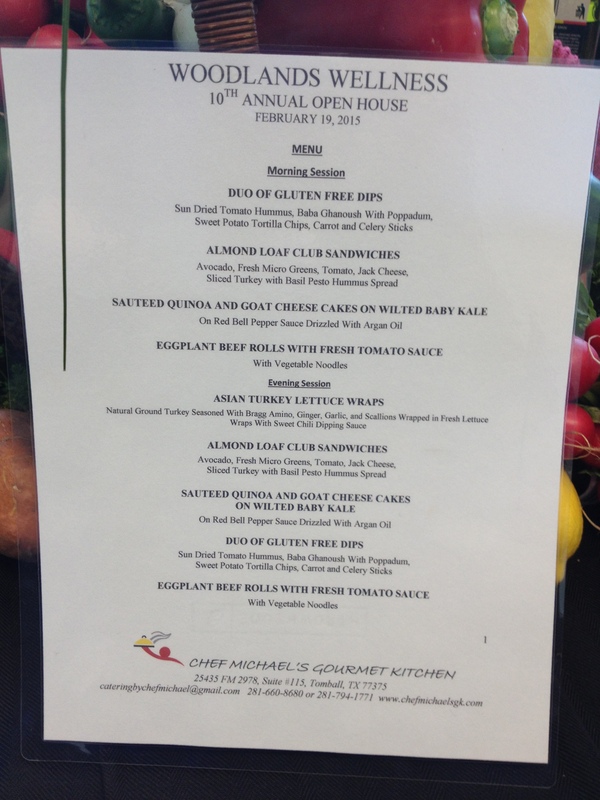 Chef Michael’s fabulous menu for the morning and evening open house sessions. Sophisticated and first-class dining. The young lady who was working the morning shift wasn’t quite sure what to think of me, but she was very nice and didn’t mind me nibbling the chips and the hummus. Of course, me being a bit dull sometimes, I forgot to ask her name and thank her personally. But if you’re reading this, your patience is appreciated, and you’re very nice–thank you. KALE!! I had some for Neighbor K, who loves it. (I didn’t ask for a takeout container. . .but had anyone offered, I would have brought her one of them kale thingies.) 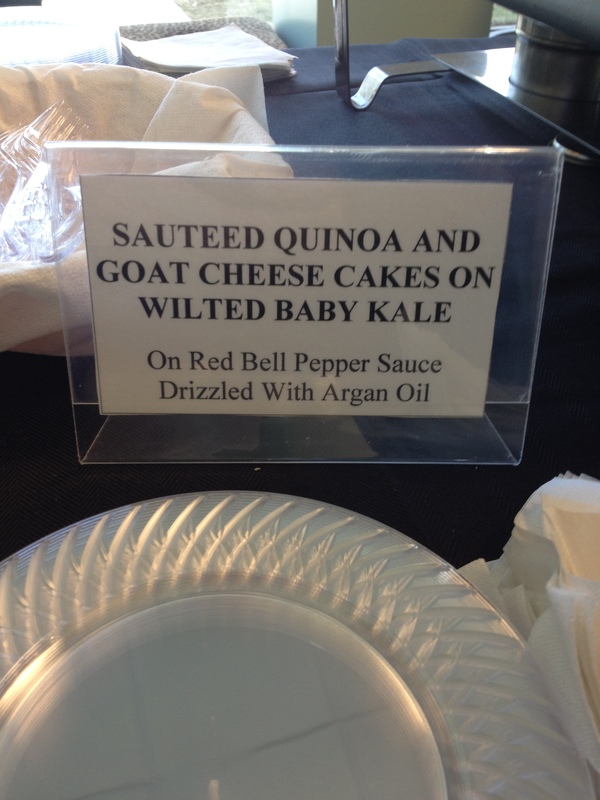 Honest, I like kale, don’t love it like K does, but the quinoa/goat cheese/kale dish was just delicious. I passed on the eggplant dish, but then I realized I should not have done that. DUH. 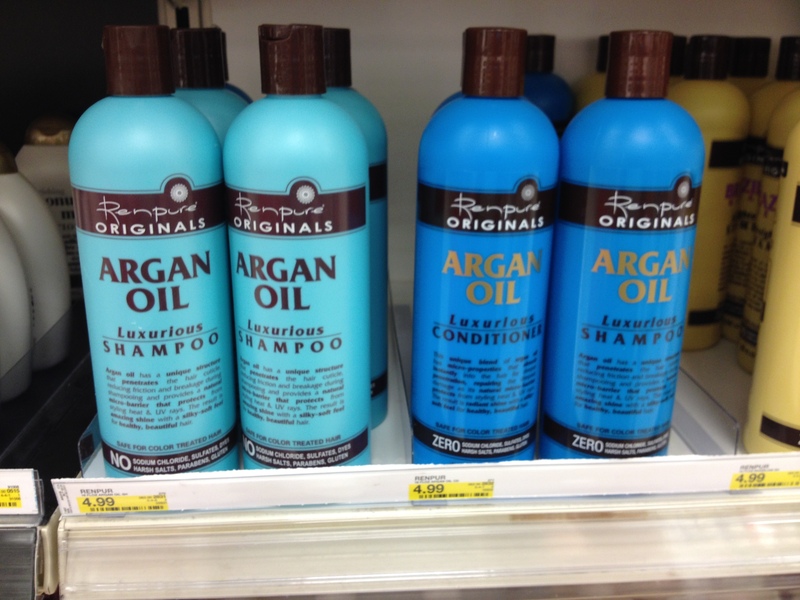 I don’t even know what Argan oil is, and at that moment, I didn’t care, either. I will tell you that the sun-dried tomato hummus has to be the best I’ve ever tasted. I make a simple hummus on the weekends but halve the lemon because most hummus screams lemon–it’s too acidic. Chef Michael, however, doesn’t put much lemon in his (if at all), and it’s ten times better than mine! But that’s why he’s the chef and I’m a blogger. . .and that’s OK. 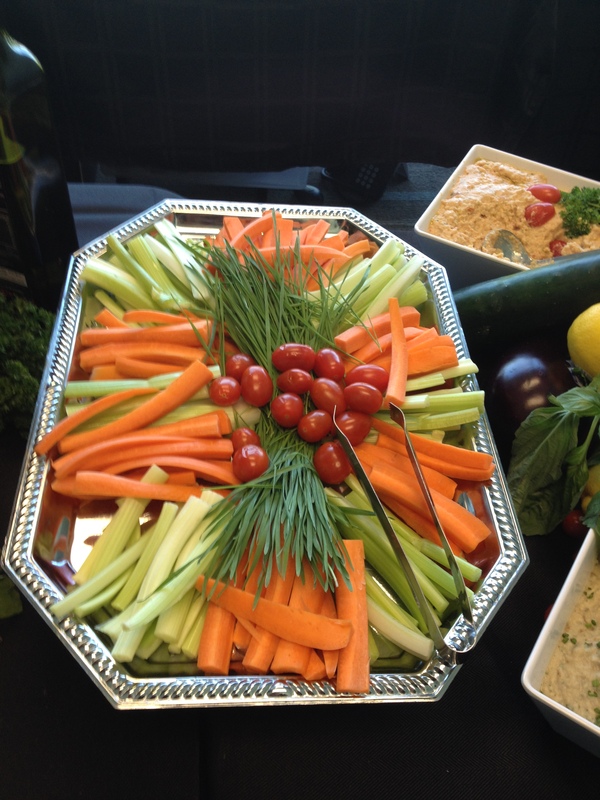 The beautiful vegetable plate with the sun-dried tomato hummus at the top right. I didn’t mess with the Baba Ghanoush, because, well, it’s eggplant and you know why. Also provided were some sweet potato tortilla chips that went perfectly with the hummus. 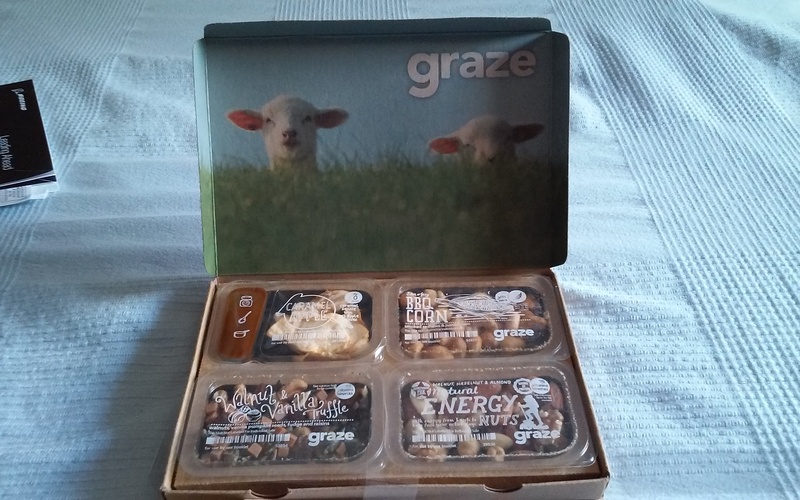 I was good–I had some, and loved it, but did NOT eat the whole thing by myself. But you know I could have, especially with sweet potato chips. I did email Chef Michael’s wife, Rosemine, and she said she would ask him about a short call with me. I never heard back, so that tells me that he’s busy making delicious food for other people know about him and who ordered. Anyone who is on the receiving end of Chef Michael’s food knows how lucky they are, too. . . . They were just delicious, and yes, I could have eaten one of those trays myself, after the hummus. But I didn’t. OK, maybe half the tray, but I stuck with one or two. I myself have not made the almond bread yet, but I plan to one day. I hope it comes out half as good as Chef Michael’s. Chef Michael’s website also has a section for yeast free/gluten free menu, and you can read about it here. No wonder Dr. Davis contacted him for catering the party! Remember about yeast-free and gluten-free that some things are that way “by default,” that is, wouldn’t (or shouldn’t) have the offending ingredient in them anyway, like hummus. 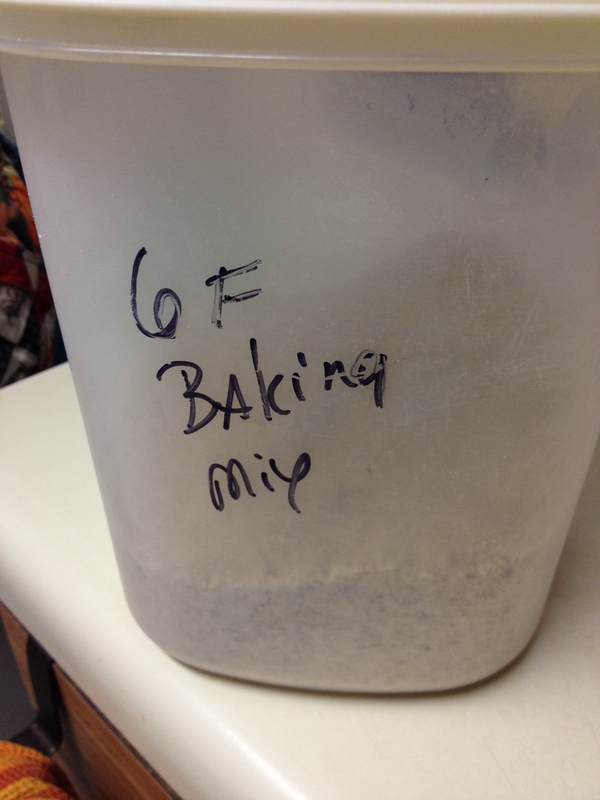 Flour is used in a number of places as binder or to thicken, and I’ve used it myself on occasion (but not for a while.) 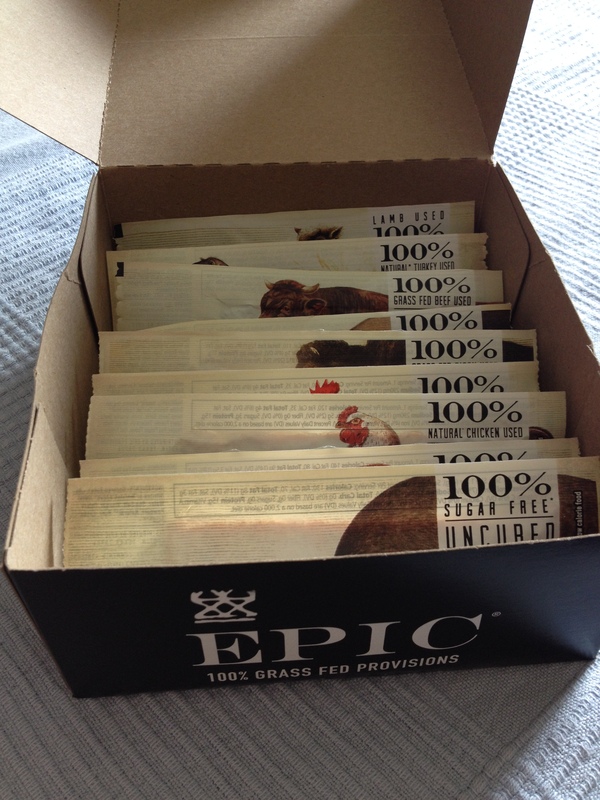 So when it says “gluten free,” it might have always been so. Salsa, for instance, or butter. Make sense? The other way is to make the item with alternate ingredients that make it act like the gluten version (i.e., bread) so that the gluten (or other ingredient) is simply avoided. With this party, I knew everything was healthy, but when you’re cruising through a grocery or health food store, you must read the labels and ask questions (or you’ll end up with sugar in your tomato paste.) Chef Michael understands what Dr. Davis was asking for and provided it, but not everyone you encounter will understand that you’re trying to avoid wheat, flour, sugar, soy, etc. So you have to ask if you’re not sure. Chef Michael’s website is ChefMichaelsGK.com. You can email Chef Michael Matthews or his very nice wife Rosemine at cateringbychefmichael@gmail.com. 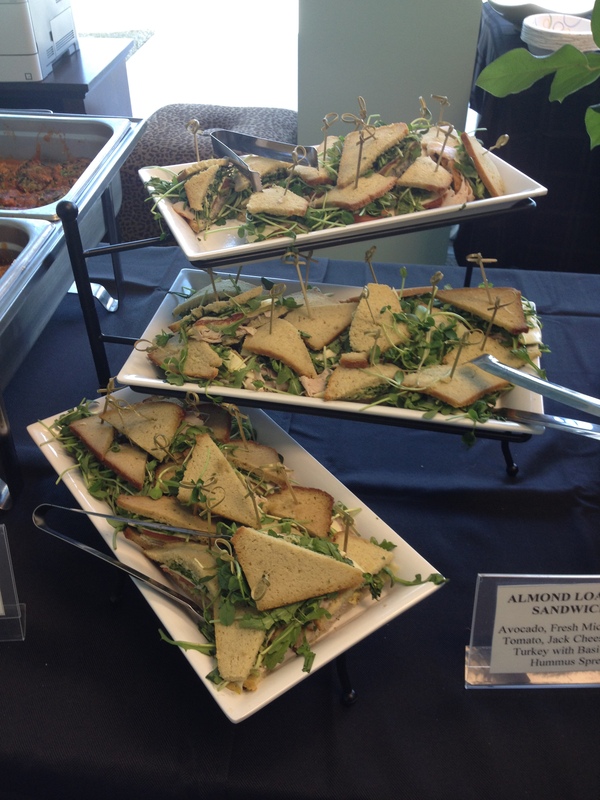 They do catering on the north side of Houston, including The Woodlands. If I can find it next time I go up there, I’ll stop in to see them. 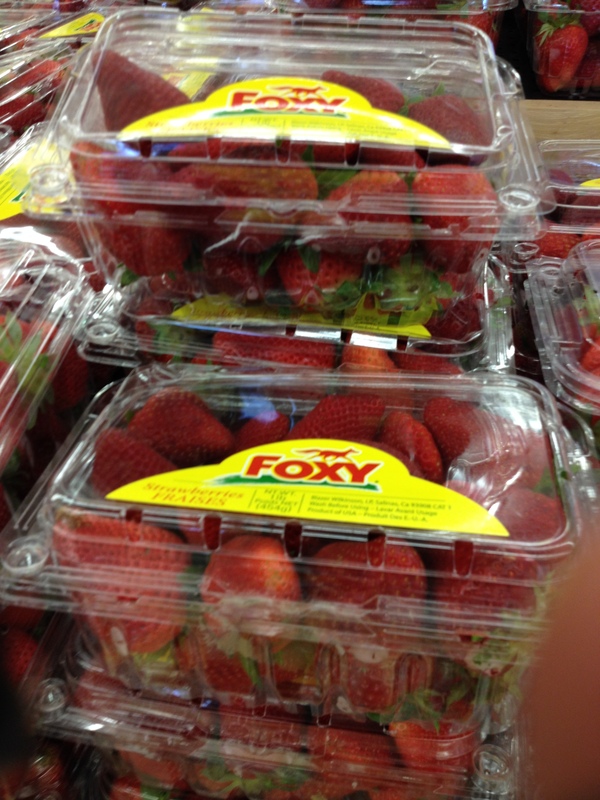 You can also call them to place an order at 281-660-8680 or 281-794-1771. If you have a special event coming up and you live up there, or have an event planned for that part of Houston, CALL THEM FIRST. After lunch at Woodlands Wellness, I highly recommend them. Isn’t that an amazing cake? I hate to over-use the word “amazing,” but it really was. 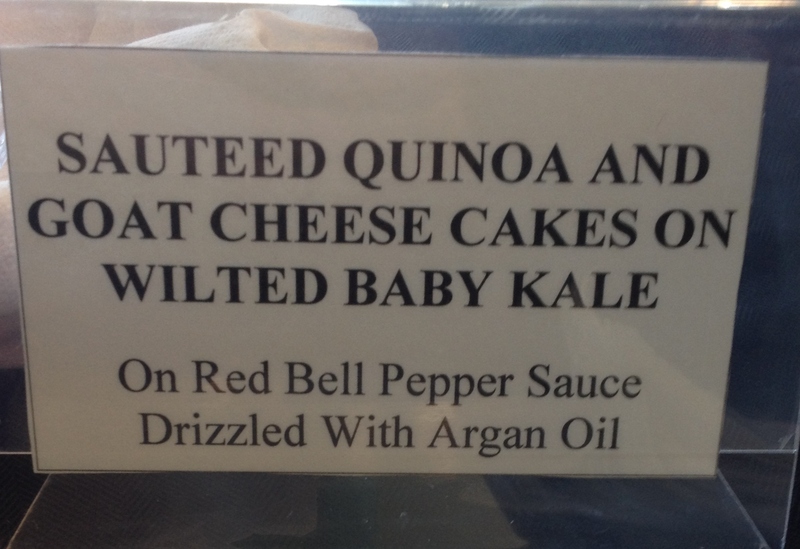 And, wait for it–GLUTEN FREE! Remember when I said Dr. Davis likes the peacock the way I like tigers and cats? (That’s what I was told when I asked a staff member one day.) 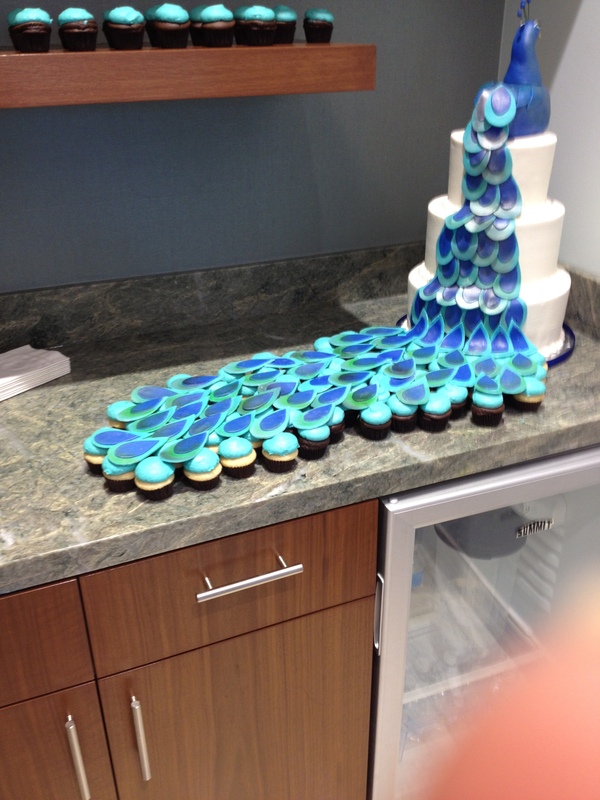 The cake was made to match the office’s beautiful decor. Now do you get it? 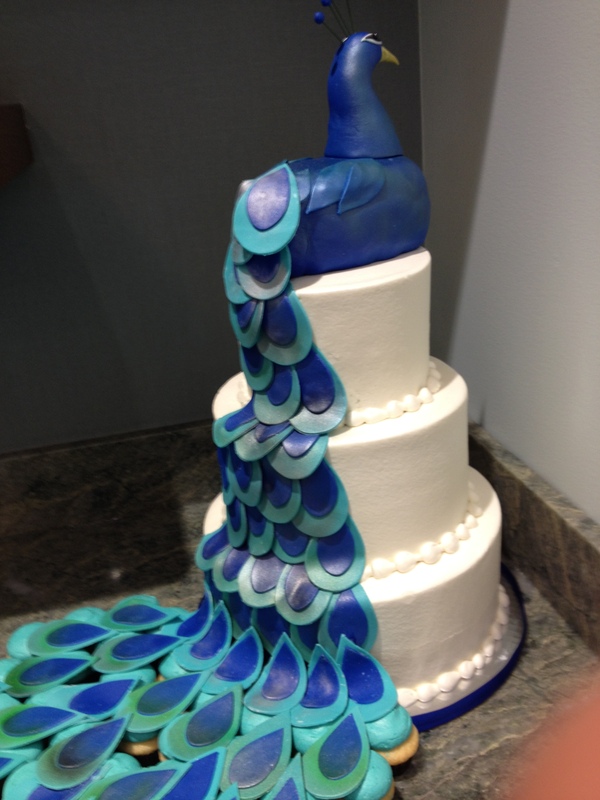 The Peacock Cake! I’m not getting married, of course, but if I were. . .that might be what I’d want for a wedding cake. Maybe my birthday cake when I turn 55. From Frost, of course. You can see a gallery of their delicious treats here (indexed by type.) And if you are up that way, stop in for a real feast for the eyes and soul. Gluten free, of course. Oh, how many did I have? 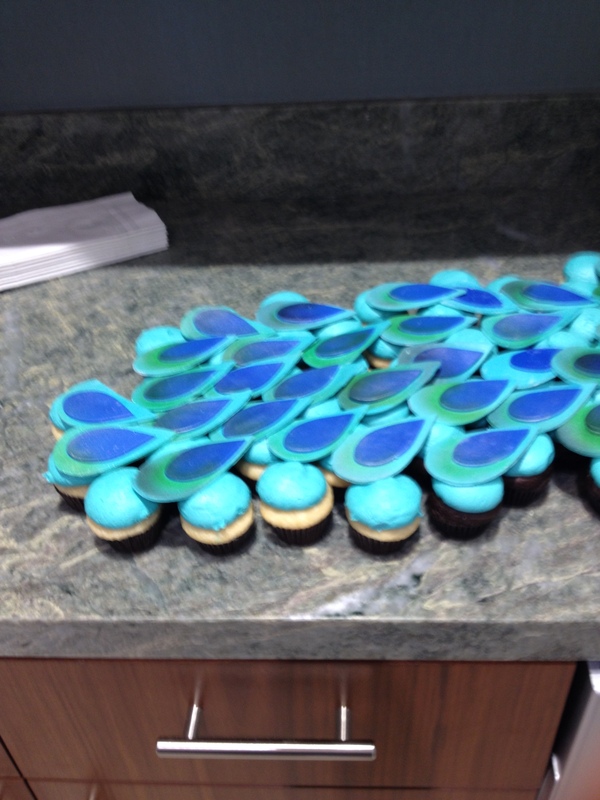 I might have accidentally eaten one of the “feathers” and um, one or two or four of the mini cupcakes. They were the tiny ones, which means I really only ate *two* cupcakes! Neighbor K gave me a funny look when I told her that. With the same look she gives the Daft Pug, she said, “just because they’re gluten free doesn’t mean you can eat them all.” Yes, I know, and I did NOT eat them ALL. Just enough to not make a trip to Frost before I came back to Clear Lake. I did make one more stop, at Trader Joe’s in The Woodlands, and bought. . .a bunch of stuff. You know, the kind of thing I like to stock up on: olive oil, the cocoa powder, things like that, since they’re cheaper there. 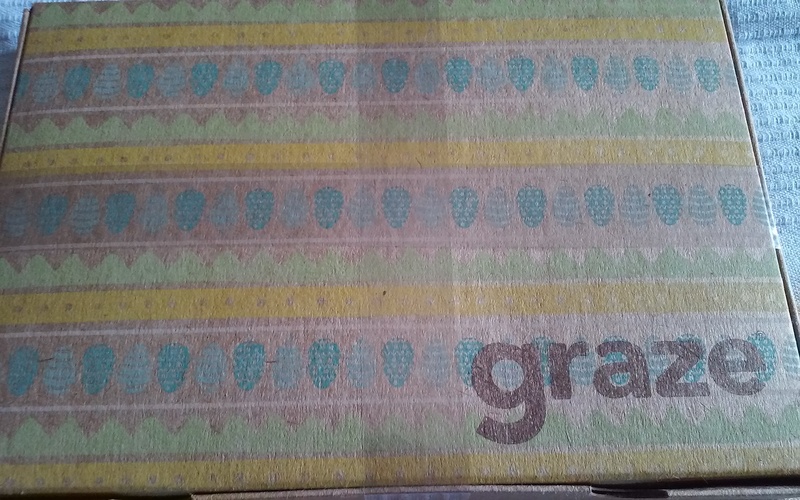 Neighbor R also asked me to pick up some of their $3-a-bottle Pinot Grigio, which I happily did. It’s her favorite, and I’m happy to do so for an 80-year-old firebrand with bum knees. If I call her “a little old lady in Clear Lake” again she will hit me with said bottle. Full. Then I’ll be going to see Dr. Davis for a head injury. Oh, wait, Dr. George is also an ER physician. . .maybe I should go see him, right? Many thanks to the Drs. Davis and their wonderful staff for a fantastic open house, Chef Michael’s Gourmet Kitchen for wonderful, tasty, and healthy well-made food, and Frost Bake Shoppe for an incredible, beautiful and delicious cake that none will ever forget. If you’re gonna have some food, make it something good. 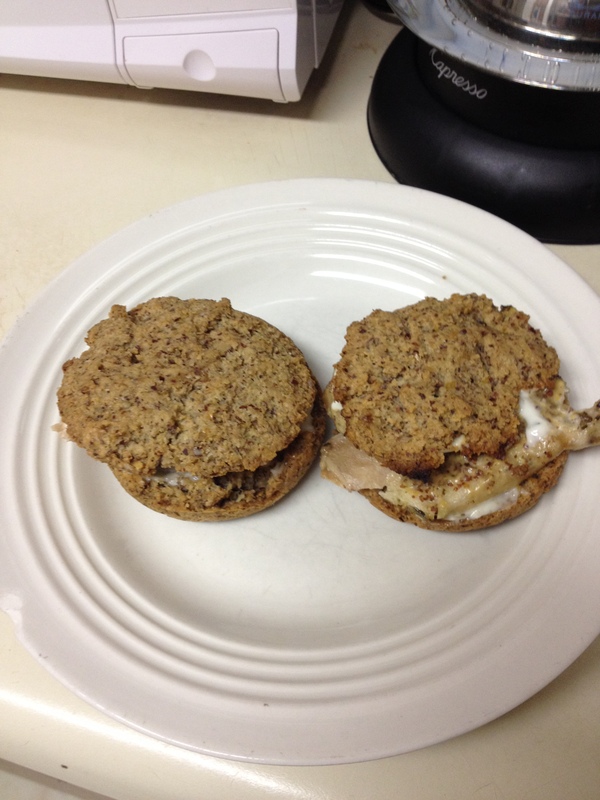 Posted by Amy on February 25, 2015 in Desserts, Eating Out & On The Run, Gluten Free, Health & Wellness, Ingredients, Lunch, New Trends, quinoa, Restaurant Review, Special considerations, Special Occasions, What's for Dinner? Well, yesterday was cooking day, and boy did I ever. I started out with a trip to my local Kroger stores. I say “stores” because I couldn’t get everything at the first Kroger, so I had to drop by the second. Next time I may go all the way to Friendswood and visit the one by LK’s place. Oh, wait, is she in League City? I forget. it’s over there on Bay Area and 518, or 528. . .I get those two mixed up. Anyway. . .I did get online and open up my online Kroger account and add some “digital coupons” onto my Kroger card. I also had some paper coupons that arrived in the mail on Friday. I saved a total of $45.45, which made me feel kinda stoked. Nevermind how much I actually spent, but I stocked up on some things and even tried something new. It was great to watch that $90 tab go down to $63 in a heartbeat when my Kroger card was scanned. But I don’t do that every day. I roasted a big ol’ pork loin roast, so that was easy. 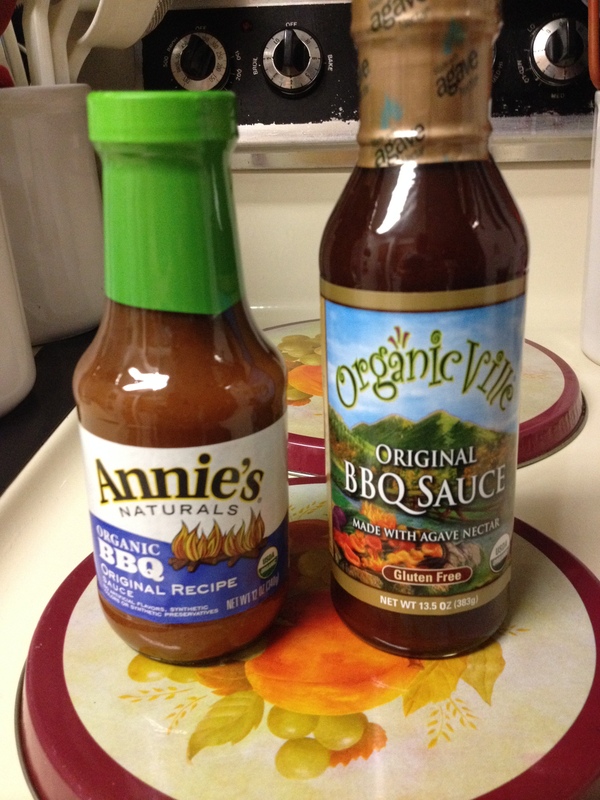 I made some barbecue sauce, because one thing I picked up on sale were some cross-cut shanks. 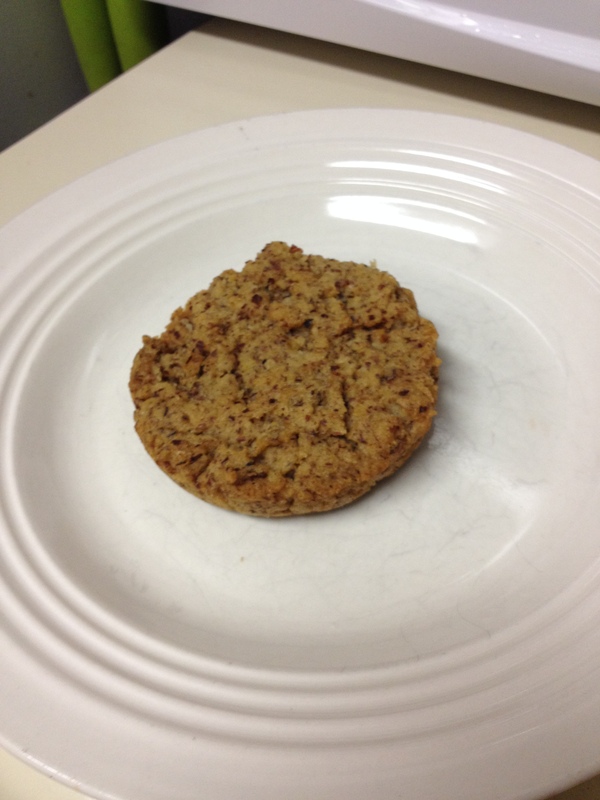 Those went into the slow cooker this morning–delicious! Also made some more of the low-carb fruit muffins I made a couple of weeks ago. And then I made some of the muffins I told you about in the last post from GF and Me—the chocolate hazelnut muffins. Yes, they are worth the trouble to make, including with Somersweet. Wanna see? My Suzy Homemaker mixer again! And then bake them at 375F for 25 to 30 minutes. Delicious, but mine were not a feast for the eyes. 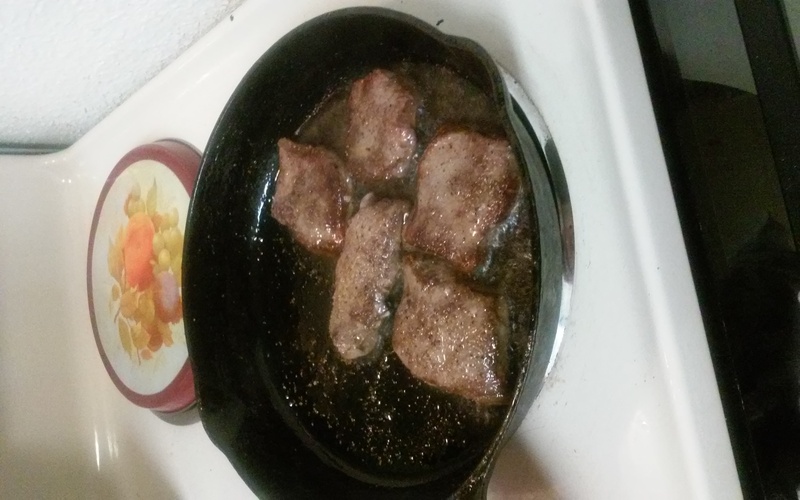 They sorta didn’t come out of the pan exactly right. . .don’t judge me. Or maybe I didn’t grease the muffin tins enough. 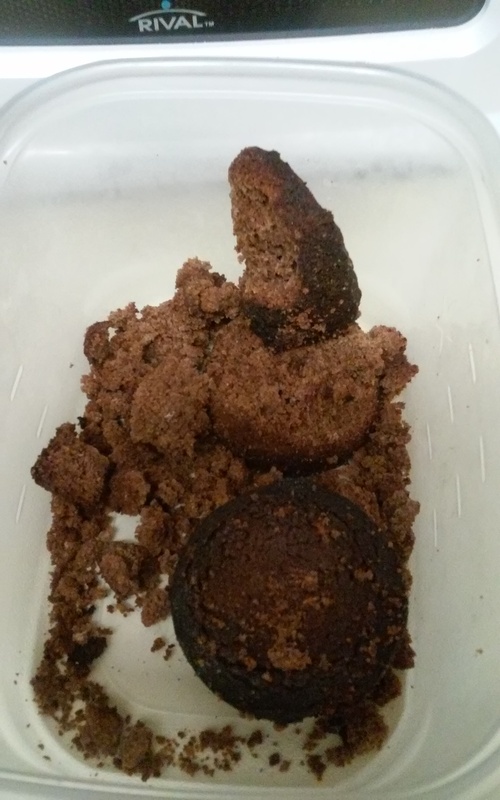 Or maybe I need new muffin tins. . . . I just talked to the GER and he’s not tried his muffins yet. I gave him one chocolate muffin and two of the blueberry muffins. 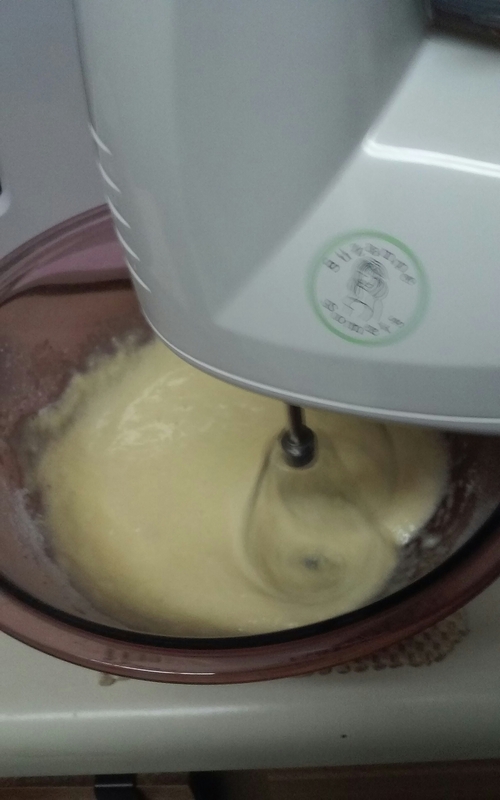 When I mentioned that I was making some gluten-free muffins, he said, “oh, no! You nearly killed me the last time with that dinner!” Like the long-ago dinner with my brother and his family in 1997, I will likely not live that one down. Ever. I didn’t feel like messing with the Nutella frosting, even though I could have whipped up some Homemade Nutella to make it. Verdict: Delicious!! With hazelnut flour/meal more available in grocery and health food stores, it wouldn’t be difficult to whip these up anytime you wanted. If you’ve got a gluten-sensitive honey, get started on them Friday afternoon/evening so they’re cool on Saturday, which is Valentine’s Day. If you’re making frosting, I would do it ahead of time, too. Note that Brenda’s original recipe calls for sugar. But because I’m a fiend for the alternative sweeteners and eschewing sugar, I used SomerSweet, which is primarily erythrytol. 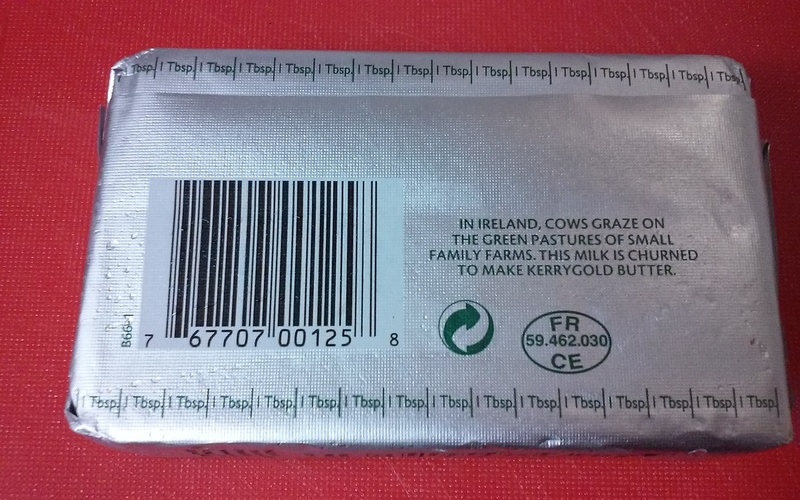 If you have something called Sweet N’ Natural, or another erythrytol-based sweetener, and prefer to use that, it might take some fiddling to get it right. 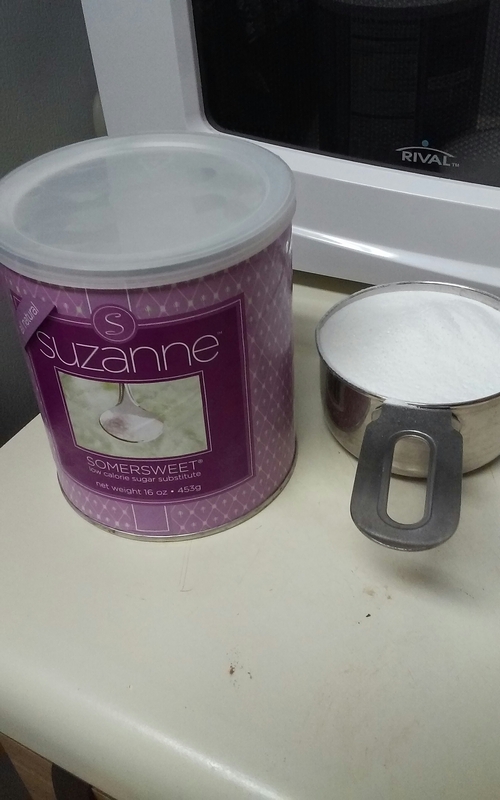 But SomerSweet measure identical to sugar, so that’s what I go with. And if you’re like me, don’t have a special someone, make them for yourself, (the recipe makes 6 or 7) because they’re just delicious. The rich chocolate-hazelnut taste is like nothing else you’ve ever had, and will become one of your favorites. Happy Valentine’s Day, and Enjoy! Well, Houston’s warm spell was broken with a cold front that literally blew through last night. I was in shorts all day yesterday, and later in the evening found my self. ..chilled. I managed to gather a bag of dry leaves for composting before the rain came through, and will try to get more in a little while; cheap rakes are great, aren’t they? 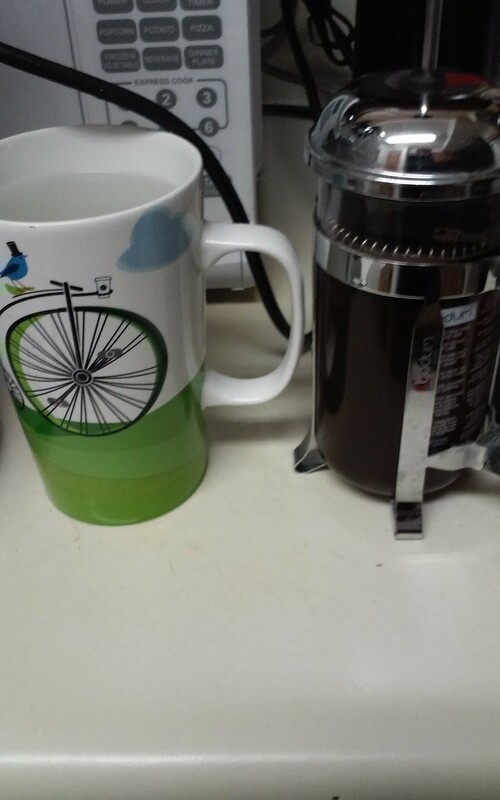 I made coffee last night AND this morning! Enjoy it while you can. . .because soon enough it’ll be HOT again. This is Houston, after all. All the housework is done, and coupons cut and sorted for whenever I go shopping again. I actually have done some shopping, but not so much for groceries–more spare parts and things, mostly. But not a whole lot. For instance, I had no idea that household cleaning manufacturer Casabella made a tool to scrub your bathtub. No kidding! It’s a tub scrubber on a long pole, much like a mop or broom. How did I not know about this? I actually saw a similar tub scrubber by Oxo on Facebook, but Bed, Bath and Beyond does not have OXO’s model yet. Armed with coupons, I got one of the Casabella models and a refill pad. My tub and surroundings is clean, and I do not suffer with pain from it. Soon I will be getting the HeatCageKitchen garden started for this year. Although my rosemary plant keeled over after so much rain, I’ve sprouted a bit of rosemary I leftover from Christmas. Takes a while, and you just keep the water fresh in the cup. The green onions are shooting up nicely, and I may need to transplant them to a bigger container. This is the model I think I have, but I don’t believe I paid that much for it–I’m too cheap. However, this is a comparable model for a lot less. They cook up quick, too. It wasn’t long before I was enjoying something delicious. Yesterday also saw some on-sale chicken breasts and what looks like the last of the “fish unspecified” from the GER cooked up for the week. I also have a little of last week’s chicken chili, but I’ll have to post that recipe later. I meant to do it already, it’s for the slow cooker. Now, the next one I sort of stumbled upon. . .well, let me start it this way. 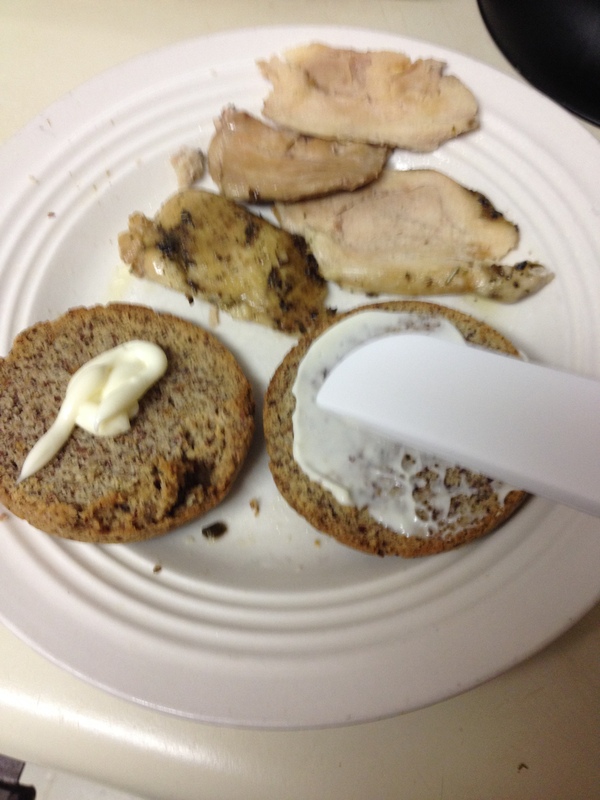 Remember a while back I had a fascination with the Hamilton Beach breakfast sandwich maker? 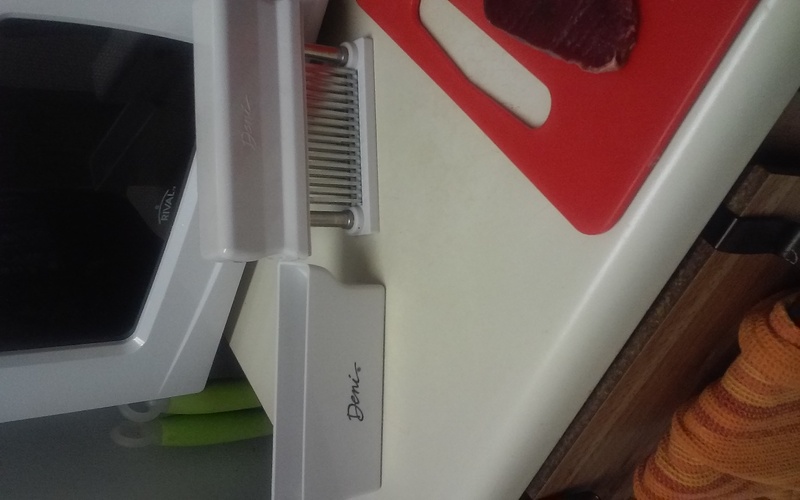 I still think it’s neat, but. . .well, I gave it another try, minus the sandwich maker. I had them every day for breakfast, just because I could. Admittedly, I didn’t make any more, I want to try something else next. Now, of course, I’m down a couple of bags of almond flour. Next trip to Trader Joe’s, I’ll be stocking up again. But between these little babies and the recent Meyer Lemon Cake, oh, is it so worth it. 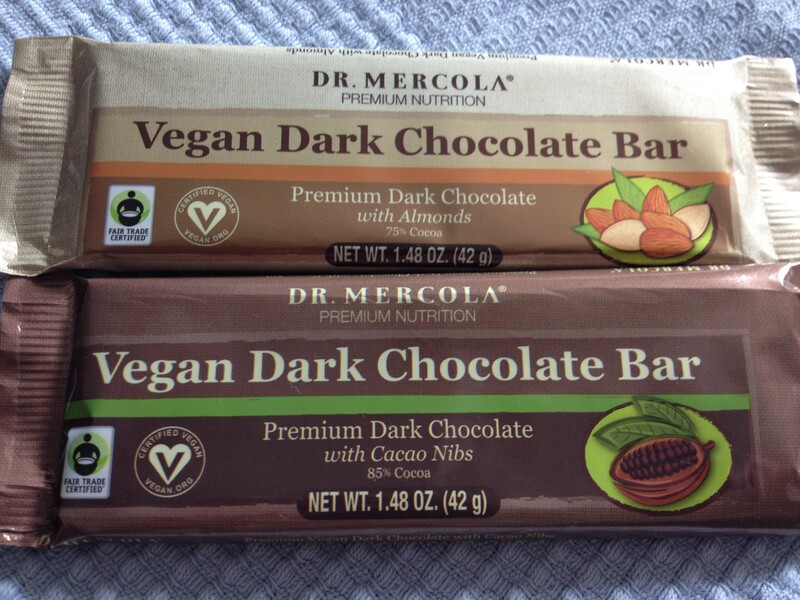 If you’re looking for a little treat, give these a try, because they’re quite good. The recipes are below. Please note that one recipe for the muffins makes four, but if you have a 12-cup whoopie pie pan like I do, you can triple the recipe to fill it and bake 12 at once. Nothing wrong with that, right? Oh, and Valentine’s Day is next week! Are you ready? There are some chocolate recipes here on HeatCageKitchen, just do a search (or start here). 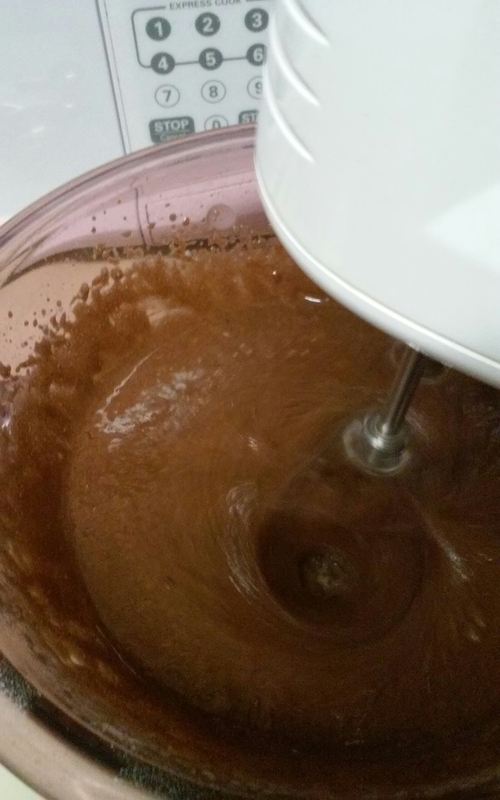 But there’s one more thing you can make with that baking mix, and fast–a Coconut-Chocolate Quick Muffin, on page 87 of the same book the muffins are in. They’re actually listed under breakfast, but they’re pretty good about anytime. In fact, I might make one tomorrow. Let me tell you, though, all these quick muffins are microwavable in a cup. How cool is that? So get ready for Valentine’s Day the HeatCageKitchen way! Or at least an easy way. . .recipes are below. 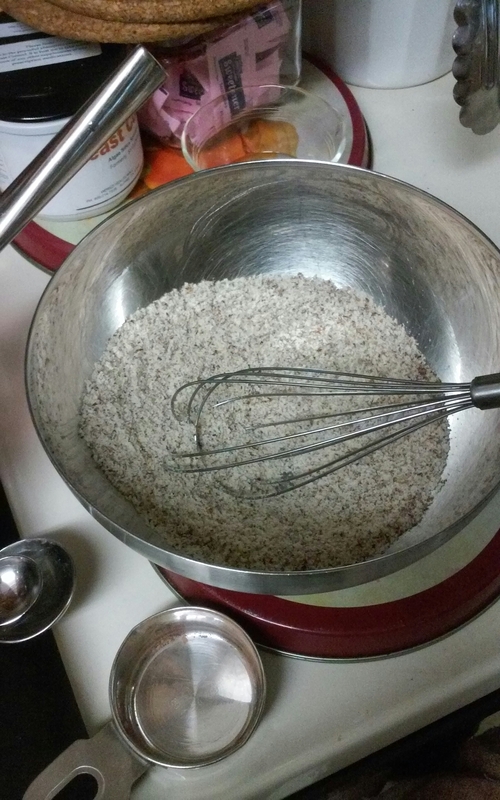 In a large bowl, whisk together the almond meal/flour, flaxseeds, coconut flour, baking soda and psyllium seed (if desired.) Store in an airtight container, preferably in the refrigerator. In a bowl, combine the baking mix, baking powder, and salt. Stir in the oil thoroughly. Add the the egg and stir until mixed. If the dough is too stiff, add water 1 tablespoon at a time. Divide the dough among the 4 whoopie pie cups (or 12 if tripling recipe). 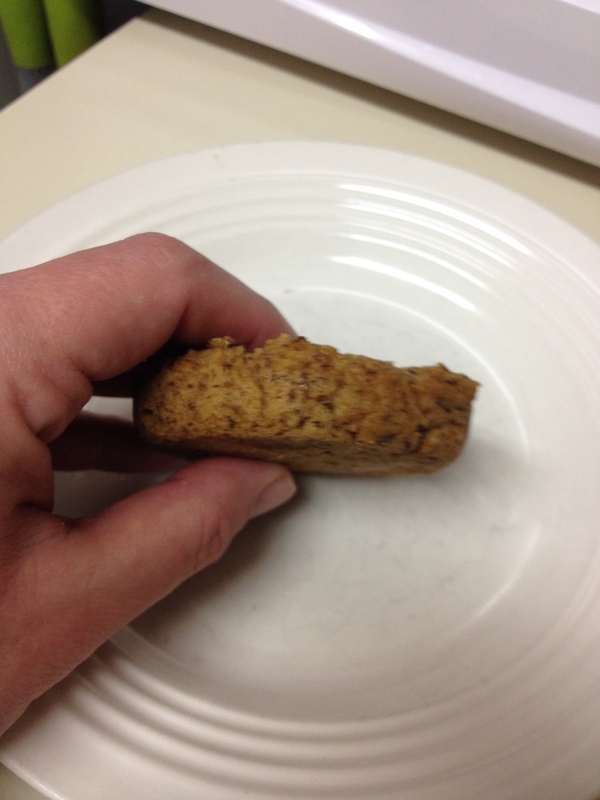 Using a spoon, flatten the mounds until approximately 1/2″ thick, leaving a shallow well in the center. 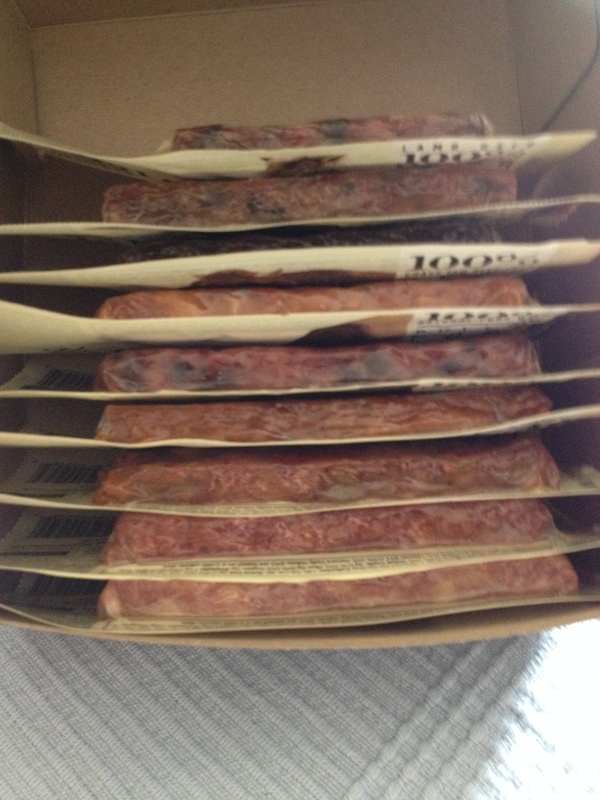 Bake for 12 minutes, or until the edges begin to brown. 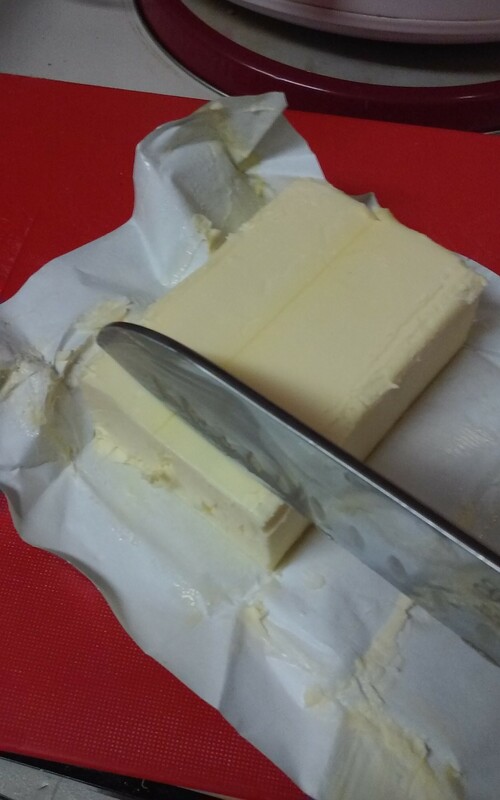 Allow to cool for 3 minutes before carefully removing from the pan. 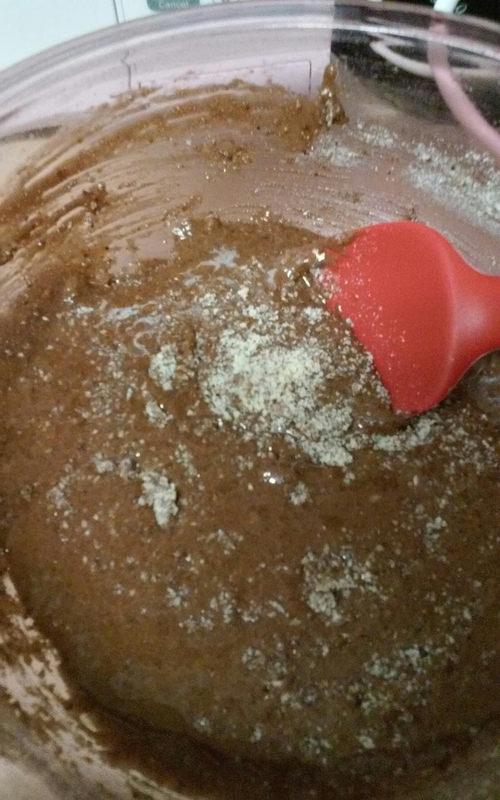 In a medium bowl, combine the baking mix, cocoa, coconut, cinnamon, sweetener and salt. Whisk in the egg. Add the milk and butter (or coconut oil) and whisk thoroughly. 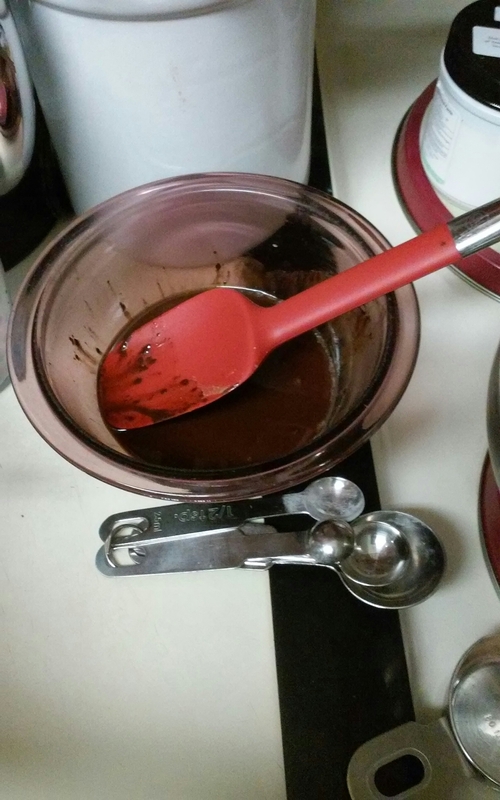 Use a rubber spatula to scrape the mixture into a large mug or 10-ounce ramekin. 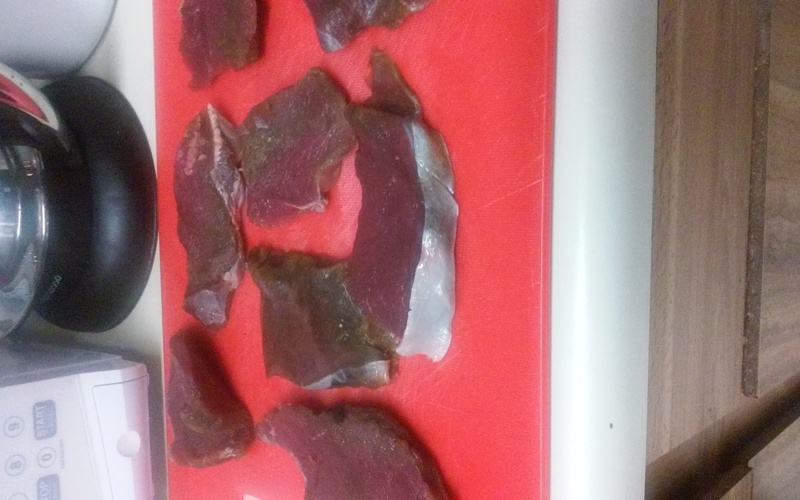 Microwave on hgh power for 2 minutes, or until a wooden pick inserted in the center comes out clean. let cool for 5 minutes.